Hello, my name is Olivia An and I was given the opportunity to go to Peru as my first short-term mission trip with Cornerstone Church. When I was first asked if I wanted to go to the Peru mission, I replied with an immediate “yes.” I wanted to be part of this year’s mission because I had never gone to a Cornerstone Church mission before, and I really wanted to go to one at least once in my life. So after I signed myself up for the 2018 Peru mission, I had a heart of excitement. Towards the beginning of mission training, I really enjoyed the things we did. Even though we were all very sweaty and exhausted, it was fun to struggle through it together as one body. Also, I had barely come to Cornerstone Church in 2016, so I did not know most of the people who were on the mission team. But thankfully, during the days of mission training, I was able to meet lots of people and build strong relationships with them. Towards the middle of mission training, I began to realize that my heart was not in the right place. I started taking mission training less seriously than I did before, and it became sort of like a routine to just get over with every week. Then one day, while I was reading the QT passage of Acts 6, I saw how Stephen had the face of an angel in whatever kind of situation he was in. This was when I realized that Stephen was able to do this all through the power and fulfillment of the Holy Spirit. The Holy Spirit gave him the spiritual boldness and alertness to do God’s work. As a go-er of the Peru mission, I needed to be as spiritually bold and alert as Stephen. However, I was selfish and I loved myself/the world more than I loved God. Therefore, the fact that I took mission training less seriously as time went on clearly showed how spiritually weak I had been. So on that day, I went on my knees and spent time praying to God. I genuinely told him everything that was inside my heart and mind because I wanted him to work within me and take the lead of my life. From that day on until the end of mission training, my heart grew more and more excited to see the children, teachers and Missionary Park in Peru. When we eventually arrived at the Good People School, I was surprised as the students were welcoming us with beautiful posters, fun music and colorful confetti. I was truly happy and thankful to see all of this happening because we had come to Peru to serve them, but they were already serving us! I was really challenged and encouraged to give my all during the days we served them. On the first day of VBS, most of the children looked confused and therefore lacked enthusiasm during the praise songs. 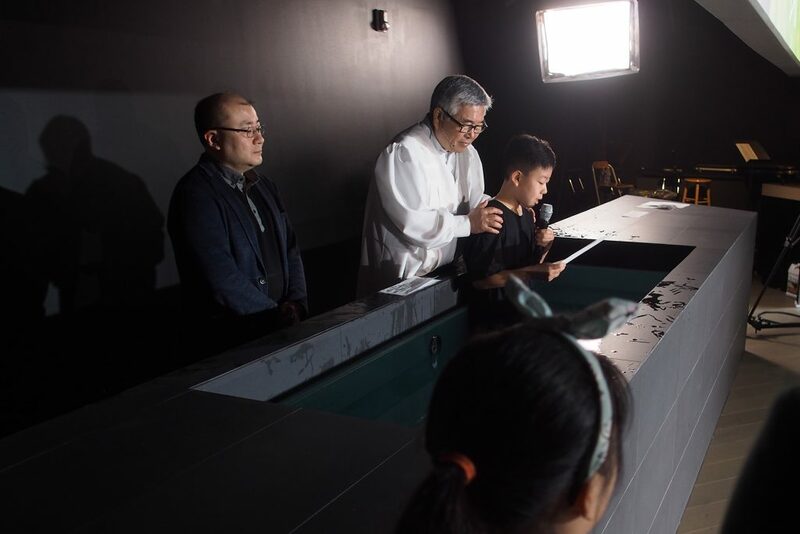 But day after day, I saw changes in the children’s hearts as more and more of them began to engage during the praise songs and open their hearts and ears during the sermons. This was a great blessing for me because I saw God working through the hearts of the children. Even during the revivals we held, the Holy Spirit moved the people’s hearts as they were lifting their hands and crying. I was truly blessed by it. Although serving on the mission field was physically draining sometimes, just seeing these people accepting Jesus Christ as their Lord and Savior made me rejoice all the more. There were many blessings during mission, but there were a few difficulties as well. One of them was the language barrier between the children. At first, I thought I would never be able to communicate with the children because I knew I was terrible at speaking Spanish. However, as my heart for the children grew more and more, I began to be more engaging with them by asking them their name and complimenting them a lot. So even though I was not physically able to communicate with them, I was still able to have fun and make great memories with them. I praise the Lord for allowing that to happen! Another difficulty that I faced was the lack of water. In the beginning, I was very uncomfortable with it. After long days of VBS, the first thing I wanted to do when I got back to my room was to take a nice shower. However, at our campus, the water did not run at night, so I had to take a shower early in the next morning before the Good People students arrived at 7 AM. At home, I take a 30 minute shower everyday, but while I was in Peru, I only got to take a 5 minute shower once every two days. Although this was hard for me in the beginning, God allowed me to use this time of difficulty to reflect on my heart and to also build stronger relationships with my fellow sisters in Christ. As I reflected upon my heart, I realized that I was not grateful enough for what I had. I have so many things in my life, but if I am not thankful for them that means I do not deserve to have them. So I constantly prayed for a heart of thanksgiving for what I have at mission. As time went on, I started to build stronger relationships with my fellow sisters in Christ through the lack of water. For example, since the water did not run at night, the sisters poured bottled water for one another instead, and it was such an interesting experience! Throughout mission, I experienced blessings as well as hardships but thanks to God I overcame my hardships through his help. I was truly able to see God working through our mission team during the events we held in Peru. I thank God, my family and Cornerstone Church for giving me the opportunity to go to Peru and experience amazing blessings and hardships. As I go back to my everyday life back in LA, I have made the determination to share the gospel to my nonbelieving friends and family members just as I did in Peru. I will also continue to do QT daily because it serves as great reminders, encouragements and times of reflection. Lastly, I will pray to always stay alert and come before the Lord in prayer no matter what kind of situation I am in. Thank you! 안녕하세요 .저는 OLIVIA AN입니다.저는 코너스톤 교회에 와서 처음으로 2018 페루 단기선교에 참가할 기회를 가졌습니다. 처음 저는 “페루선교에 가고싶니?” 라는 질문을 받았을때 저는 바로 “ 네 “ 라고 답했습니다. 제가 코너스톤 교회에 와서 선교를 한번도 가본적이 없기때문에 올해에 간다는 페루선교는 꼭 같이 가고 싶은 마음있었고 저의 인생에서도 적어도 한번 이상은 선교를 정말 가고싶었기 때문입니다. 그래서 2018년 페루선교를 가겠다고 교회에 등록되고 난 후 저는 흥분과 기쁨의 마음을 가졌습니다. 저는 선교훈련 초반에 정말로 즐기며 훈련에 임했습니다. 선교팀 훈련에서 모두가 많은 땀도 흘리고 때론 힘들고 몸이 지치기도했지만 훈련기간 우리 선교팀 모두 “ 한몸” 을 이루는것에 노력하고 힘쓰는 것이 재미있다고 느꼈습니다. 사실 저는 코너스톤 교회에 온지 얼마 안되서 잘 모르는 지체도 많았는데 많은 새로운 사람들을 만나고 선교팀과의 친밀한 관계를 만들어가는 것도 정말 좋았습니다. 그런데 선교훈련 중반쯤 되었을 때 제 마음이 주안에서 바른곳을 바라보지 않고 있다는 것을 깨달았습니다.처음 훈련시작했을때 마음보다 진지하게 훈련에 임하는 마음도 사라지고 매주 훈련하는 것이니까 습관적으로 빨리 끝내고 가자하는 그런 마음이 제게 생겼습니다. 그러던 때에 큐티를 읽던 중에 사도행전6장 내용중에서 스데반이 어떤 상황이라도 그의 얼굴이 천사의 얼굴을 비추었다는 그 말씀을 읽고 저는 깨달았습니다. 그는 직면한 상황에 관계없이 영적인 담대함과 경계심을 갖고 있었기에 주님께 마음을 다할수 있었겠다는 마음이 들었습니다.반대로 나는 나 자신을 예수님보다 더 사랑하고있었습니다. 시간이 갈수록 내가 선교훈련을 진지함 없이 임했던 그 사실은 내가 얼마나 영적으로 약한가를 알게 하셨습니다. 그래서 저는 그날 무릎꿇고 간절히 내 마음속 모든 이야기를 주님께 기도하였습니다. 왜냐하면 나는 진정 하나님(예수님) 이 내안에 거하시길 원했고 내 삶을 주관하시고 인도해주시길 원했기 때문입니다.그 후로는 훈련기간 마지막까지 페루를 위해 기도하게 되고 그 아이들과 선생님,선교사님 위해 진정으로 기도하는 마음이 생겨 기뻤습니다. 우리가 페루 리마의 굿피플 학교에 도착했을때 그 학생들의 아름다운 포스터와 신나는 음악으로 우리를 환영해 주어서 놀랐습니다.우리가 봉사하러 여기에 왔는데 그들의 모든 축하와 저희를 위한 환영식을 보는것이 행복했습니다.그들이 우리를 먼저 섬겨줌으로 나는 시작첫날부터 도전을 받아 선교기간동안 더 열심히 내가 할수있는 모든 봉사로 그들을 섬겼습니다. 첫째날 VBS때 대부분 아이들이 혼란스러워 보였고 찬양과 율동을 함에 열심히 하지 않는 듯 보였습니다. 그러나 하루하루 지나갈수록 찬양과 율동 그리고 복음을 들음으로 그 아이들의 마음이 변화되고 있는것을 제가 보았습니다.저는 그 아이들 마음을 통해 예수님이 축복 주셨고 분명히 주님이 우리 선교팀을 통해 일하고 계심을 볼 수있었음이 또 기뻤습니다. 그리고 우리가 가졌던 시청앞 전도 집회 동안에도 저는 거기오신 사람들이 손들어 찬양하며 주께서 마음을 움직이시며 눈물도 흐르게 하심에 이 자리에도 분명 성령님이 역사하심에 저는 정말 놀랐었습니다. 선교지에서 사역하는 것이 육체적으로는 어려움 있었지만 예수님을 진심으로 받아들이는 사람들을 눈으로 볼수있음에 너무 감사했습니다. 하지만 저는 선교하는 초반에 물을 맘껏 못쓰는 것이 힘들었습니다. 땀이 잔뜩나고 밤새 씻지못하고 겨우 아침에 10분도 안되는 시간으로 샤워를 빨리하고 게다가 매일 못씻고 이틀에 한번 그렇게 씻으면서 제가 미국에 살때는 어려움없이 30분이상 너무 오래 샤워했었고 제가 평소에 물을 너무 많이 쓰고 살았구나 알게 되었습니다. 시간이 지날수록 물 아끼면 이틀에 한번 샤워했지만 그 안에서 주님은 지체간이 즐거움과 친밀한 관계를 만들어주셨습니다. 그리고 두번째 언어장벽의 어려움 있다고 느꼈고. 제가 언어가 통하지않을 것이라고 먼저 마음의 벽을 두었기때문에 과연 말도 안통하는데 저 아이들과 결코 의사소통을 할수 없을 거라 생각했었습니다.그런데 제가 그 아이들을 사랑하는 마음이 점점 커짐에 따라 나는 못하는 스페니쉬로 그들에게 이름을 묻게 되고 그들에게 작은 칭찬의 말을 하게 되며 아이들과 자연스럽게 친하게 지내기를 하게되면서 이렇게 서로 언어가 잘 안통하는 안에서도 아이들과 재밌게 지낼 수 있었음은 오직 주님께서 이런 일들을 가능하게 해주셨다 생각하고 주님께 찬양드립니다. 선교하면서 약간의 어려움을 경험하였지만 하나님때문에 극복할수 있었습니다. 이번 페루에서 이루어진 선교사역을 통해 저는 살아계신 하나님을 만났고 주의 놀라운 은혜와 축복을 경험했고 이제까지 느끼지 못했던 어려움들까지도 감사하는 마음이 큽니다.저에게 이런 기회를 주신 부모님 과 코너스톤교회에게 감사합니다. 이제 집으로 돌아왔지만 저는 페루에서 내가 했던 사역과 동일하게 미국에서도 하기를 원합니다.살아계신 주님을 믿지않는 친구들과 가족들에게 복음을 전해야겠다고 결심했습니다. 매일매일 큐티를 해야함도 알았습니다.왜냐하면 매일의 큐티가 주님께서 나에게 격려와 바른길을 보여주시기 때문입니다. 항상 주를 먼저 바라보는 삶 살기를 원합니다. 감사합니다. Hi my name is Caitlin Lee and I was given the opportunity from God to go to Peru as my first mission trip with Cornerstone Church. Given this opportunity I was able to experience many blessings and see Gods work being done through our mission team. 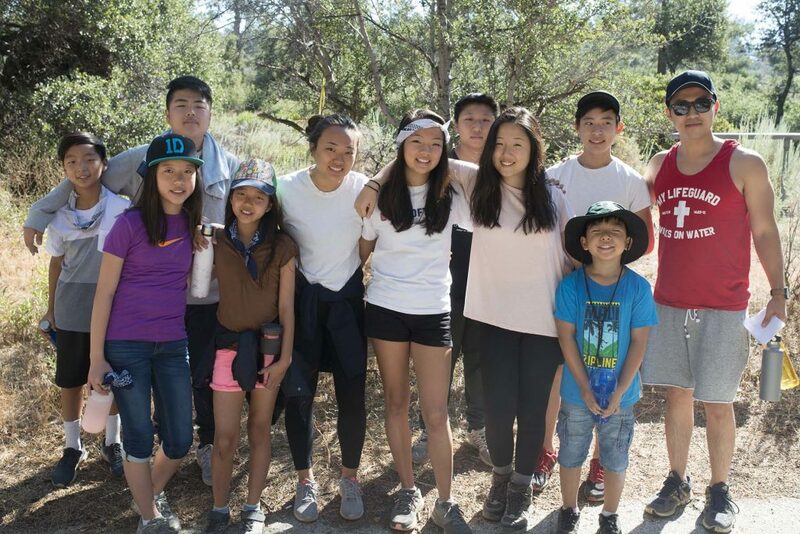 When I was first asked if I wanted to partake in this mission trip by my parents, I only thought of the hardships that I could possibly face instead of thinking of how I could be used by serving God. Thinking of how tiring mission training sounded, doing QT everyday and dedicating a lot of my time to practice body worship, filled my head and made it so that I couldn’t realize the real reason to go to mission. Instead of thinking of this mission trip as a way to bring people to Gods kingdom I thought of it as just many obstacles of hardships and suffering. However I was only convinced to go when my mom said Natalie was coming all the way to texas and that Olivia was going as well. My heart wasn’t in the right place when I signed up but that slowly changed as I started mission training. As I started to do QT everyday I was challenged by Peter and Stephen in the book of Acts and how they served God through any circumstance that they faced and how they looked to heaven serving God without hesitating to glorify him in all that they did. Through this I was truly able to reflect on my heart and I saw that I needed to hold back on everything that I placed before God and instead start having the heart to reach out to people with the gospel. After I reflected on my own heart I made the decision to start praying for the kids in Peru. I saw the change that God allowed in me as I started to spend more time with him in prayer and meditation. Mission training grew to be a lot more fun for me as I had fellowship with my brothers and sisters while we gave our best even though we were tired and sweaty. On the day of leaving to mission I grew more and more excited to meet the kids and to spread Gods love. I remember how shocked we were when we got off the bus with my luggage in front of Good People School with the sound of drums, music, and kids welcoming us with posters. Even on the first day of arrival I could see the preparation that Missionary Park organized for us and I was blessed to see his passion and motivation for the students at the school and for them to truly know who God is from the amount of effort he put in. Doing VBS, I was truly able to see God work. 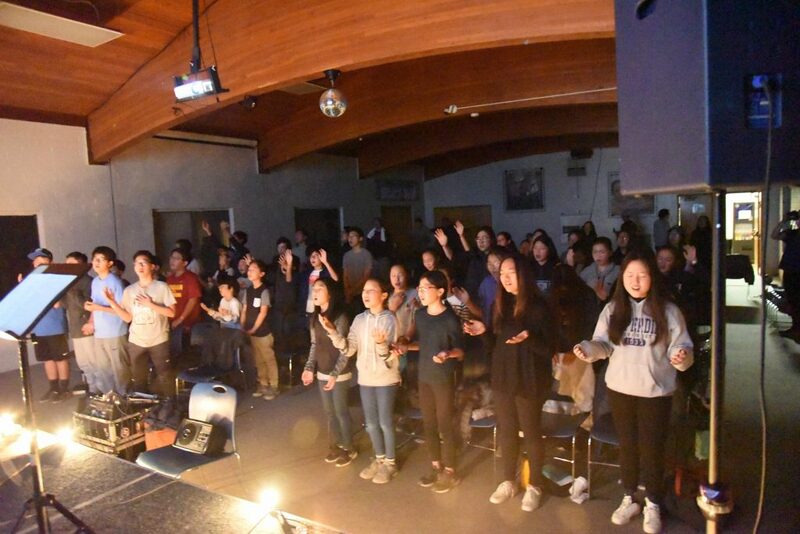 Although I was discouraged in the beginning from the lack of enthusiasm that the students had, I believe God allowed me to use the relationships that I created with the students to get them to interact more in body worship and praise God all the more. There were many things that got changed in the schedule and being in the crafts rotation was very chaotic and stressful. There were many times where I got frustrated and felt like we couldn’t do something. But in the the end, seeing the change in the hearts of the students as they jumped up and down in worship, only made me think of the only purpose I had coming to mission and made me even more motivated to give my all and serve with all of my heart. Even at the revival when I saw people crying, lifting up their hands, and listening to Paster Lee speak, I was truly amazed me of how God was working through each and every one of us. During the revival, when Paster Lee did the alter call at Good People school, I saw some of the students that came to VBS raise their hands. I was touched by how much they seeked after God and how their hearts came before God in wanting to get to know him more. As we continued on into that night we went on stage to sing “I wont go back” At that time, I couldn’t help but cry thinking of how my spiritual life was before I came to mission and how much Ive missed out on the opportunities that God has given me to preach to his people and to experience more of his love. The joy that I had while serving was none compared to any joy when I was doing what God desired. I have truly been changed through God and I do not want to go back to living the same life that I had when I did not have God in my heart. 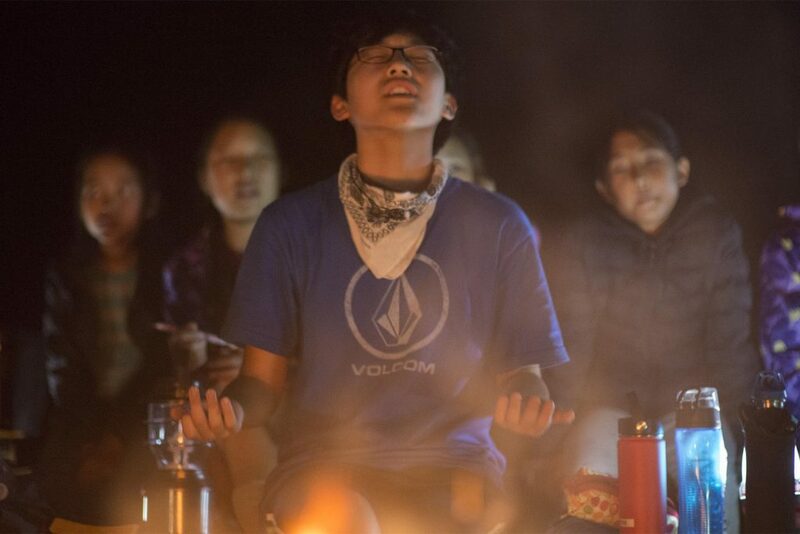 Thinking of the trials that I faced, sweat that we’ve poured, and the lack of sleep and water that we got, seemed like nothing compared to Gods power and I was able to finish off mission thinking, “It was worth it.” Through this Peru 2018 mission trip I was able to experience the joy of serving God as I stayed alert to the holy spirit and laid down the distractions that blocked my relationship with God from growing. I learned a lot from my brothers and sisters, as well as the leaders and students who taught me of unity, humbleness, accountability, and the heart to seek after God. Now that I have made the determination to shine the light of God when I get back to LA, I want to share some of the blessings that Ive received through this mission, with some of my friends from school and continue to have the courage to spread the good news to those around me whether its through my actions or my words… anything that I do that I may just be able to do it for the glory of God. 안녕하세요. 제 이름은 케잇트린입니다. 저는 이번에 제 평생 처음으로 코너스톤과 함께 페루로 미션트립을 떠나는 기회를 갖게 되었습니다. 먼저 저는 우리 미션팀을 통해 하나님의 많은 축복과 하나님의 역사하심을 경험하게 되었음을 감사드립니다. 저의 부모님께서 이번 미션트립에 함께 가는 게 어떻겠냐고 물어보셨을 때 제일 먼저 든 생각은 ‘가면 고생 할거야’라는 생각 뿐.. 내가 어떻게 하나님께 쓰임 받을 수 있을지 그 때만해도 전혀 생각지 못했습니다. 미션 트레이닝은 정말 힘들 것 같이 느껴졌고 매일 큐티를 해야한다는 것과 나의 많은 시간들을 바디워십 연습에 전적으로 드린다는 점들이 부담감으로 다가왔습니다. 제가 왜 이번 미션트립에 정말 함께 가야하는 지 답을 찾지 못한 채 방황하고 있었고 분명 가면 힘들 것이고 고생만 하게 될 것이라는 생각으로 가득했었습니다. 하지만 저와 같은 또래이며 친한 믿음의 친구들인 나탈리와 올리비아도 이번 선교에 참여하게 될 것이라는 엄마의 말에 저도 선교에 가고 싶은 마음이 생기기 시작했습니다. 이렇듯 제가 선교에 가기로 등록할 시기에 제 마음은 성령충만이 가득한 상태가 아닌 그저 친구들이 가기에 함께 가고 싶다는 마음이었는데 그런 마음은 미션 트레이닝을 통해 서서히 변하기 시작했습니다. 제가 매일 사도행전 큐티를 시작하면서 저는 베드로와 스데반의 사역과 섬김에 대해 깊이 묵상하게 되었고 특히 어떤 환경속에서도 주저함없이 하나님의 영광만을 위해 사역을 감당하는 모습은 저를 회개케 했습니다. 그리고 제가 하나님보다 더 우선순위로 놓았던 모든 것들을 과감히 버려야 함을 알게 되었고 제가 만나게 될 모든 사람들과 복음으로 교제하길 원하는 마음이 생기기 시작했습니다. 이런 마음이 들기 시작하면서 저는 페루에 있는 아이들을 위해 기도하기로 결단했습니다. 그 무렵 저는 더 많은 시간을 묵상과 기도로 주님과 교제했고 놀랍게도 주님은 제 마음 속에서 역사하셔서 제 마음을 무미건조한 상태에서 페루 아이들에 대한 간절함으로 변화시켜 주셨습니다. 미션 트레이닝은 갈수록 더 재미있어졌고 아무리 몸이 피곤하고 땀으로 범벅되어도 아무렇지 않았습니다. 왜냐하면 한 지체된 형제 자매들과 펠로우십을 가지며 우리의 시간과 정성과 우리들의 최선을 주님께 올려드렸기 때문입니다. 미션트립을 떠나는 당일날 저는 페루 아이들을 곧 만날 생각에 또 그들과 주님의 사랑을 나눌 생각에 흥분과 감동으로 떨렸습니다. 우리는 긴 시간 비행기를 타고 짐을 찾고 또 버스를 타고 무사히 Good People School에 도착했습니다. 그 때 우리를 위해 포스터를 들고 환영하는 아이들과 드럼을 비롯한 여러 악기를 동원해 우리를 반겨주던 그 감동의 벅찬 순간을 저는 잊지 못합니다. 도착한 순간부터 페루에서 사역하시는 박영환 선교사님의 철저히 준비된 모습에 감동했고 선교사님의 아이들을 향한 사랑과 열정을 옆에서 볼 수 있음이 저에게도 축복이었습니다. VBS 사역을 통해 하나님께서 일하심을 보았는데요… 처음엔 학생들이 잘 따라하지도 않고 참여도가 낮아서 좀 힘들었습니다. 하지만 하나님께서 저로 하여금 그 아이들과 먼저 relationship을 쌓을 수 있도록 해 주셨습니다. 그러면서 자연스럽게 그들과 소통하며 친해질 수 있었고 결국은 그 아이들과 함께 기쁘게 찬양하며 바디워십도 할 수 있었습니다. 하지만 계속되는 VBS사역은 결코 순조롭지는 않았습니다. 우리는 때때로 난관에 부딪치기도 하고 그래서 결국 craft 스케줄을 변경하는 등 많은 것들이 예상을 빗나가기 시작했고 그럴때마다 저는 그런 무질서에 좀 당황스러웠습니다. 그리고 이런 상황에서 우리가 뭘 어떻게 할 수 있을까라는 생각이 들었습니다. 하지만 조금씩 시간이 지나면서 예배드리는 페루아이들의 마음이 점점 기쁨으로 가득차고 좋아서 어쩔 줄 몰라하며 뛰는 모습을 보면서 제가 왜 페루에 와 있는지 정말 중요한 이유를 깨닫게 되었습니다. 그리고 저는 더욱더 열심으로 온맘다해 그들을 섬기기로 결단하게 되었습니다. 부흥집회 예배 가운데 많은 사람들이 눈물을 흘리며 예수님을 그들의 Savior로 받아들이고 손을 들어 우리 이종용 목사님의 구원초청에 응답하는 모습을 보며 저는 하나님께서 얼마나 한 영혼을 사랑하시는지 느낄 수 있었습니다. 그리고 우리 미션팀이 하나님의 귀한 사역에 쓰임받고 있음이 정말 놀라울 따름이었습니다. 구원초청에 손을 들어 응답한 사람들 중에는 VBS때 왔던 학생들도 있었습니다. 저는 그 아이들이 하나님을 갈망하고 하나님을 더욱 알기 원하는 모습을 보며 너무 기뻤고 제 마음이 감동으로 뭉클했습니다. 그렇게 하나님의 은혜로 집회는 밤이 되어도 계속 되었고 우리는 무대위로 올라가 “I won’t go back”이라는 찬양을 부르기 시작했는데 그 때 저는 흐르는 눈물을 정말 멈출수가 없었습니다. 이번 미션에 오기 전의 제 영적인 상태를 생각하면서 회개하는 눈물이었습니다. 저에게 복음을 나누고 예수님의 사랑을 나눌 수 있는 많은 기회가 있었음에도 불구하고 그렇게 하지 못했던 내 자신에 대해서 회개하는 시간이었습니다. 제가 미션을 통해 하나님을 섬기는 그 기쁨은 그 어떤 세상의 기쁨과도 비교할 수 없는 진정한 참기쁨이었습니다. 저는 제 안에 계신 하나님으로 인해 제가 진정 변화됨을 느낄 수 있었고 더이상 과거의 제 영적인 상태로 돌아가지 않겠다고 다짐했습니다. 그동안 땀흘렸던 많은 시간들이 있었고 부족했던 수면으로 힘들었던 순간들이 있었으며 물이 귀한 페루에서 제대로 샤워도 못했지만 그럼에도 불구하고 제 첫번째 선교는 참으로 귀중한 재산이 되었습니다. 그것은 하나님의 능력과 역사하심을 체험할 수 있었기 때문입니다. 2018년 페루 단기선교 기간동안 저는 영적으로 깨어있기 위해 노력했고 하나님과 제 사이를 가로막는 모든 방해되는 것들을 내려놓고 정말 하나님만을 섬기기를 힘썼더니 주님께서 제 마음에 기쁨을 허락하셨습니다. 그리고 이번 단기선교에서 나의 형제 자매들을 통해, 또한 집사님, 장로님, 전도사님들, 그리고 사모님과 목사님을 통해 성령의 하나됨이 무엇인지 배우게 되었고 겸손하게 그러나 책임감있게 섬기는 법을 배우게 되었으며 무엇보다 하나님을 사랑하는 마음을 갖게 되었습니다. 집으로 돌아오며 결단하게 된 건 이제부터 예수님의 빛이 되어 내가 받은 축복과 은혜를 내 주위 학교친구들과 함께 나누며 용기를 내어 내 주위 사람들에게도 복음을 전하며 살기로 한 것입니다. 제 언어나 행동을 통해.. 오직 주님의 영광만을 위해서 그 어떤 어려운 일도 넉넉히 감당해 낼 수 있는 그런 제가 되기를 기도합니다. 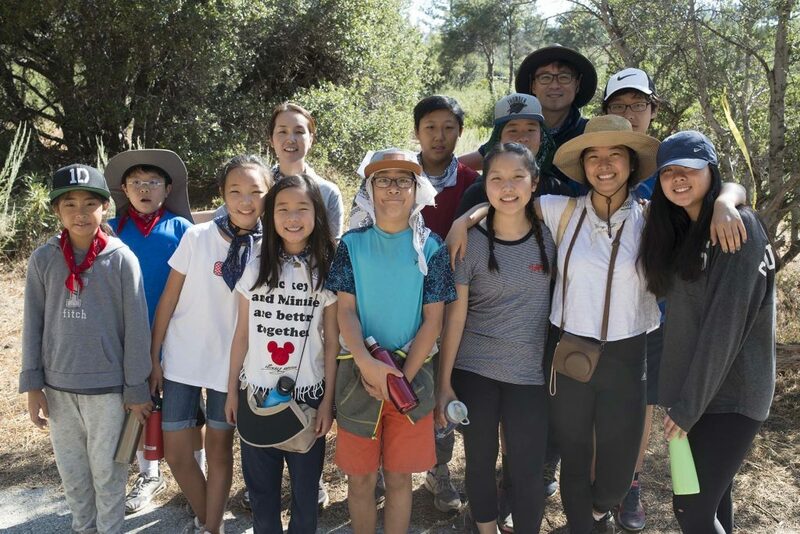 Hello, my name is Jonathan Chun and today I will be sharing my testimony and the events I experienced in the 2018 Mission to Peru. My Mission “officially” started several months ago when I made the commitment to go to mission when I signed up on the list. I didn’t think much of Mission at that time because I still had a long way to go before I had to go to Peru. Then, around 3 months ago, I went to my first mission training at church. This was kind of like a wake-up call for me ask I began to realize that Mission was right around the corner. The next months of mission training went by fast for me as along the way, we learned: Can’t Live A Day, Shackles, Choir, prepared for VBS, learned some Spanish from Professor Pablo, and even did painful burning with Pastor Josh and Teacher Minji. Overall, the mission training really prepared myself both physically and spiritually. Finally, came Sunday, July 1st, the day when we left LAX to go to Lima, Peru. I remember coming to the airport with my family straight from church. So many people were there to send us off and that was really a last encouragement for me to fo to mission. I wasn’t really feeling any emotions until I stepped onto the airplane. Right when I got on, thoughts were running through my head. Honestly, at first I wanted to just cancel my airplane ticket and get off the plane when I realized I wad going to be 2 weeks without my phone, my Xbox, my video games, warm bed, my regular “sleeping in schedule”, and basically my summer vacation for two weeks. I wondered if all my worldly desires and mission training was really worth me going to mission for 2 weeks. Looking back at this, I can say for sure that this mission was totally worth it, and none of my worldly desires could ever bring me true happiness like this mission did. After a couple of rough hours we finally landed in Lima and was greeted by Missionary Park. We then took a bus ride from the airport to the school where we were going to stay and do ministry. During the bus ride I got to see the surrounding areas and neighborhoods. I was kind of expecting Peru to be not that developed, but the areas were very poor. The houses looked like shacks, there were trash everywhere, and the area was way more undeveloped than I thought it would be. I remember the moment I got off the bus to go the school, I could hear cheering and someone playing the drums. I was very confused at first, but then I realized that the students were in a line waiting to greet us. I was amazed on how the children were so welcoming and happy to greet us, as soon as we got off the bus. Missionary Park lead the boys to our room and we ate dinner. In our room we had 15 brothers together, which at first to me didn’t seem to be a big problem. But, you can probably imagine how smelly our room smelled after we were sweaty and dirty after days of VBS and being outside. Although these smells and other problems were discomforts for me, it made me realize how privileged I am to have daily comforts in my daily life in America that many people do not have in other parts of the world. The next day we started our first day of VBS for the students of Colegio Good People School. 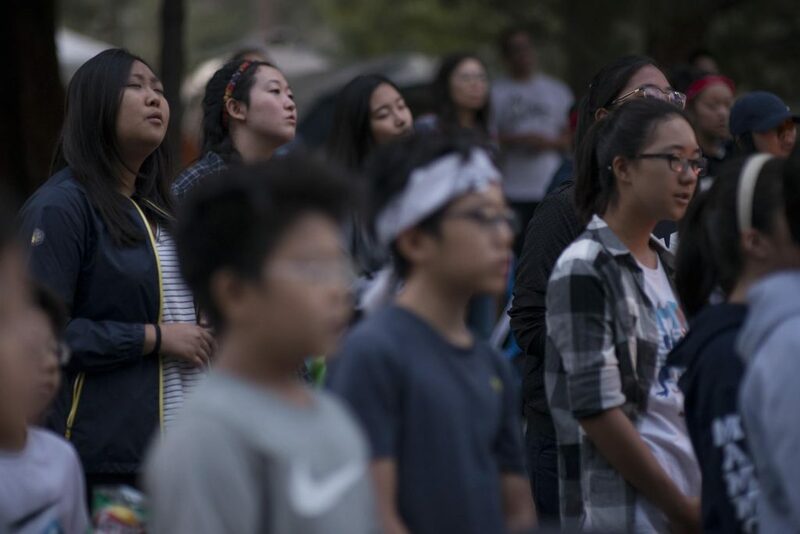 We had 2 VBSs – the first VBS was for the toddlers and primary grade students, while VBS 2 was for the students in junior high and High School. The first day of VBS started with the primary kids, and many of them were pretty shy on the first day. We performed Shackles, Can’t Live A Day, choir, and our gospel pantomime. All of the little children were so cute and energetic. While I was in Powerup, which is the same as indoor games in our church’s VBS, I got to meet many kids and their names. The first VBS was very energy draining and I thought our day was done that day until I realized I also had to do VBS 2. Meeting the kids in VBS 2 was also a blessing for me too as I met many new junior high and high school students. Throughout VBS I become very close with one high school student in VBS 2 named Jeffery. Jeffery was a male student around the same age as me. He always had a little smirk on his face and wore blue glasses. Weirdly, we got to know each other after he liked the dance that I performed during my gangster part, in the gospel pantomime. After we split up into groups, he came to me and asked for my name and did the dance with me. We met again that day in Awana and he was on my color team so we got to know each other better. On the second day of VBS, we greeted each other and I sat next to him during message. During the message, I could see that Jeffery was different from most of the other kids I saw. Jeffery was very attentive to the messages that were being told. I could tell that he really wanted to learn about Christ. I used the little Spanish that I learned to talk to Jeffery a little bit about the message that day. After knowing some of the other boys, I said goodbye to the boys and Jeffery and concluded day 2 of VBS. The last day of VBS was a huge blessing for me as I prayed for many of the kids. I also got to pray for Jeffery that day as he raised his right hand, wanting to receive Christ. I prayed for him and during the prayer, I realized the reason why I came to mission. Many of the leaders in our mission team told us that we were going for that one soul. All of the previous body worship, prayer and effort was worth it for this one moment. For me Jeffery was the one soul that was saved by Jesus in our VBS. Jeffery accepted Christ that day and I was also really touched. None of my worldly desires that I mentioned earlier, would never come close to the joy and happiness I experienced that day. After VBS had ended, we went into seminars for the adults and kids. I was again blessed on how many adults showed up and participated in the seminars. Many were Christians in their native churches and came to learn more about Christ. Including the seminars, we ended with the revival which in my opinion the highest point of Mission. I got to see so many people gathered together to see us perform and listen to Pastor Lee speak. I could see many of the audience members tearing up and I was so joyful that the Holy Spirit was working within them. A couple days later, we left Colegio Good People School and I got to say goodbye to Jeffery. Although it was sad for both of us, I was happy that he was able to accept Christ while I was there. Although I bought many souvenirs from Peru, the one I will cherish the most is not a physical one, but it was the moment I got to see the people in the school accepting Christ in the revival. The last part of our ministry was when we went to do VBS for Cosmo Mission. It was located not that far away from Colegio Good People but the two locations were very different from each other. The Cosmo Mission was even more undeveloped than Colegio Good People, but the children were also so excited to come to VBS. The students were mostly young and small. I was amazed on how these children were able to be so happy in such poor conditions. Lastly, I wanted to share how QT fit so well throughout the entire Mission. Reading the QT each day gave me the spiritual strength to keep going even though I may be tired or when I’m feeling lazy. By reading the story of Paul and his ministry in the book of Acts was similar to our Mission. I want to keep my spiritual fire burning by maintaining my QT from Mission. I used to do QT like a chore, but now I really enjoy having time to communicate with God and meditate on the scripture. I will never forget my first mission to Peru and I already want to sign up for the next mission is coming up. 제 이름은 조나단 전 입니다. 얼마전에 있었던 2018년 페루 단기선교에서 경험했던 여러가지 은혜를 간증하기 위해서 이 자리에 서게 되었습니다. 저의 선교가 시작된 것은 몇 개월 전 제가 선교에 가기로 등록한 때 부터입니다. 처음에는 선교까지 아직 많이 남아 있었기 때문에 선교에 대해서 별로 크게 생각하지 않았습니다. 그러던 중 3개월 전에 교회에서 첫 단기 선교 훈련이 시작되었습니다. 그때 부터 단기선교에 대한 생각이 바뀌고 선교가 코앞에 있음을 깨닫게 되었습니다. 이어지는 단기선교 훈련은 아주 빠르게 지나갔습니다. 그리고 저희는 여러 가지에 대해 배웠습니다: Can’t Live A Day, Shackles, VBS 훈련, Professor Pablo와의 Spanish 공부 그리고 Josh 전도사/민지 선생과의 체력 훈련 등등. 그리고 이런한 선교훈련을 통해서 저는 영적으로 육적으로 잘 준비되어 갔습니다. 그리고 결국 7월1일 주일이 되었고 저희들은 L.A. 공항에서 페루를 향해 떠나게 되었습니다. 저희 가족은 교회에서 직접 공항으로 가게되었는데 공항에는 아주 많은 분들이 나와주셨고 그것이 저에게는 또 다른 격려가 되었습니다. 비행기를 타기 전에는 별다른 감정은 없었는데 타고나니 여러가지 생각이 저의 머리를 스쳐 지나갔습니다. 솔직히 말씀드려 2주 동안 전화기, XBox, 비디오 게임, 그리고 따듯하고 편안한 생활을 포기해야 한다고 생각하니 당장 선교를 포기하고 비행기에서 내리고 싶었습니다. 내가 좋아하는 것들을 포기하고 3개월간의 선교훈련을 들일 만큼 2주간의 단기선교가 값어치가 있나 하는 생각이 들었습니다. 그런데 지나고 보니 지난 2주간의 단기선교는 이세상이 줄수 없는 진정한 행복을 저에게 경험하게 했습니다. 몇시간의 고된 비행을 마치고 저희는 Lima 공항에 도착하게되었고 그곳에서 박 선교사님이 저희를 반갑게 맞아주셨습니다. 우리는 버스를 타고 공항에서 저희가 선교하고 묵게될 학교를 향해 떠났습니다. 버스 타고 가는 중 그곳의 주위 환경을 보게 되었는데 페루가 별로 개발되지 못한 곳이라고 생각했지만 그보다 더욱 힘들고 가난한 곳 이었습니다. 집들은 아주 허름하기 짝이 없었고 곳곳의 쓰래기로 아주 좋지 못한 환경 이었습니다. 저희가 버스에서 내릴때가 생각 나는데 어디선가 환호성과 드럼 소리가 들려왔습니다. 저는 좀 혼란스러웠지만 그곳의 학생들이 저희를 기다리고 있었다는 것을 곧 깨닫게 되었습니다. 그곳 학생들은 저희가 버스에서 내릴때 아주 열광적으로 환영해 주었습니다. 박 선교사님이 저희를 남학생 방으로 인도해 주셨고 또 저녁도 준비해 주셨습니다. 저희 방에는 15명의 남학생과 선생님이 함께 있었는데 처음에는 별 문제가 없는듯 했습니다. 하지만 하루 종일의 VBS 와 그 밖의 여러가지 활동에 땀 번벅이된 저희들에게서 나는 냄새를 상상하시면 현실이 어떠했는지 알 수 있을것 입니다. 그러나 또한 그러한 냄새나 불편함을 통해서 그동안 내가 미국에서 얼마나 편안한 삶을 살고 있었나 하는 깨달음도 주셨습니다. 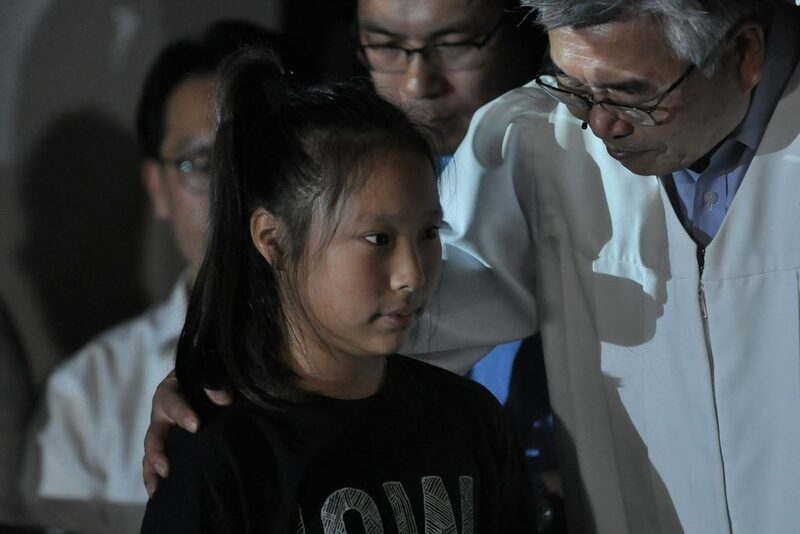 저희의 첫번째 사역은 Good School 학교에서 하는 VBS 사역이 있었습니다. 하루에 2번의 VBS가 있었는데 첫번째는 어린 아이들 (3살 – 6학년) 을 상대로한 프로그램이 있었고 두번째는 중학생과 고등학생을 상대로한 사역이 있었습니다. 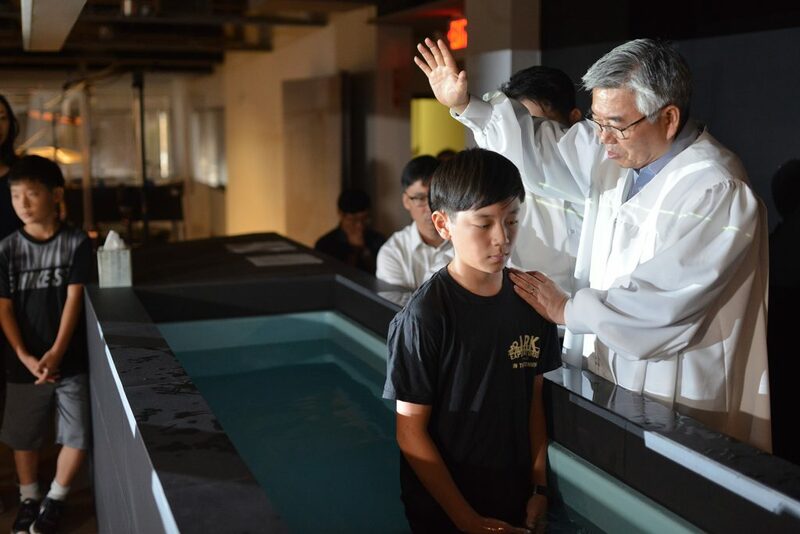 VBS 사역동안 저희는 Body Worship, 찬양, 연극 등등을 공연 했습니다. 복음의 말씀을 전한후 학생들과 여러가지 게임을 했는데 저는 VBS1 에는 Powerups (실내 게임)과 VBS2 에는 Awana (실외 게임)을 도왔습니다. 제가 VBS를 사역하는 동안 Jeffery라는 한 학생을 알게 되었습니다. Jeffery는 저랑 비슷한 또래의 안경낀 남학생이었습니다. 그 아이는 판토마임 연극 기간 동안 췄던 저의 춤을 좋아했고 같이 춤을 추기도 했습니다. 저는 VBS 기간 동안 Jeffery는 다른 학생들과 조금 다르다는 것을 알수 있었습니다. 그 아이는 말씀 듣는데 아주 집중을 했고 예수님에 대해서 진실로 알기를 원하는것을 볼 수 있었습니다. 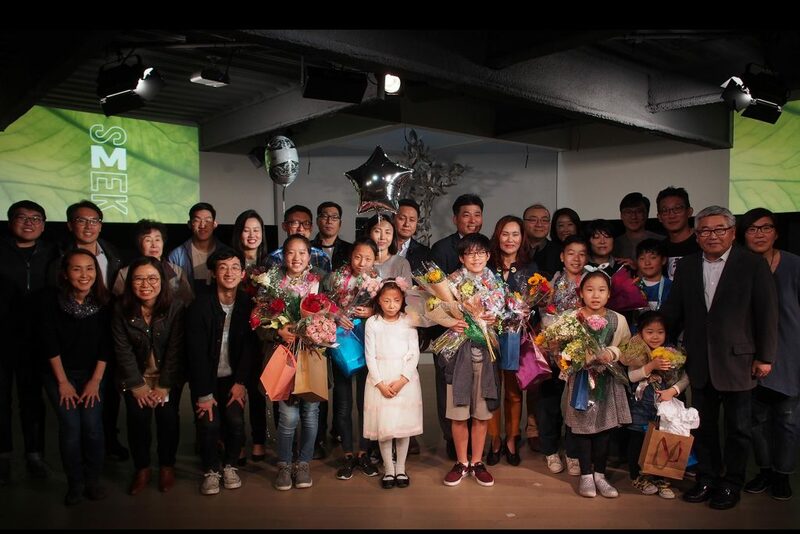 VBS 마지막 날 Jeffery를 위해서 기도하는 시간은 저에게 아주 큰 은혜의 시간 이었습니다. 그 아이를 생각하다보니 내가 왜 선교를 왔는지 깨닫게 되었고 목사님께서 우리가 한 영혼을 구원하기 위해서 여름 선교를 온다고 하셨었는데 지금 까지 했던 모든 Body Worship, 기도 등이 Jeffrey를 위해서 사역이었구나 하고 깨닫게 되었습니다. Jeffery는 예수님을 구주로 영접하고 예수님과 함께하는 삶을 살기도 결단하게 되었습니다. 이세상의 어떠한 것도 제가 그날 격었던 은혜의 기쁨을 줄 수 없을 것 입니다. 제는 페루 관광동안 여러가지 물건을 샀는데 그 어떤 물건도 Jeffery가 예수님을 영접하던 그 때와 같이 소중한 것은 없습니다. VBS가 끝나고 저희는 그 지역의 어른들과 어린이를 위한 여러가지 세미나를 가졌습니다. 저는 수 많은 어른들이 저희 세미나에 참여하시는 것을 보고 또 다른 은혜를 느꼈습니다. 많은 분들은 그지역 교회 지도자 분들 이셨고 말씀과 교회 사역을 배우기 위해 오셨습니다. 아주 많은 분들이 저희의 찬양과 Body Worship을 보았고 또 이 목사님의 설교말씀을 듣고 많은 분들이 성령 충만한 기쁨의 눈물을 흘리는 모습을 보았습니다. 몇칠이 지난후 저희는 Good School에서 떠나고 Jeffery와 헤어지게 되서 슬펐지만 그가 예수님을 영접할때 함께 할 수 있어서 너무 기뻤습니다. 저희의 다음 사역은 Cosmo 교회에서의 VBS 였습니다. 그곳은 Good School 에서 그리 멀지 않은 곳에 위치하고 있었는데 두곳은 많이 달라 보였습니다. Cosmo 교회 지역은 환경이 더 안좋은 지역이었지만 아이들은 너무나 열정적으로 VBS 에 참여했습니다. 대부분의 아이들은 어리고 작았지만 그러한 환경속에서도 기뻐하고 즐거워 하는 모습에 저는 아주 놀랐습니다. 마지막으로 선교기간 동안 어떻게 QT가 저에게 어떤 역사 했는지 나누고자 합니다. 매일 매일 QT를 읽음으로서 저에게 영의 양식을 체워 주셔서 저에게 게으름과 피곤을 이기게 하셨습니다. 사도행전에 나오는 사도 바울의 사역을 보면 저희 선교여행과 비슷함을 볼 수 있습니다. 저는 매일 매일의 QT를 통해 이번 선교기간 동안 얻은 성령의 불꽃을 계속 간직하고 싶습니다. 전에는 QT를 그냥 찬양하듯이 따라만 했었는데 이제는 하나님과 QT로 대화하고 말씀을 묵상하는 것을 즐기고 있습니다. 저는 이번 페루 단기 선교를 평생 잊을 수 없을 것입니다 그리고 앞으로 있을 다음 선교에 빨리 등록 하고 싶습니다. 이번 단기 선교 단원(50명) 중 제일 어린 저를 보살펴 주고 도와주신 많은 분들께 감사의 말씀을 전하고 싶습니다. 그리고 저와 한방에서 생활하고 저를 주안의 형제로 받아 주고 아껴준 15명의 형제님 들에게도 감사드립니다. 그리고 조금 육신이 연약하시고 연세가 있으심에도 불구하고 온 맘과 정성을 다해 하나님을 섬기시는 모습을 보여주신 목사님 사모님께도 감사드립니다. 또 모든 장로님/집사님과 성표, David, Josh 전도사님들 께서는 저에게 섬김의 모습을 보여 주셨습니다. 그분들이 아이들에게 복음의 말씀을 전하실 때마다 또한 저에게도 말씀하시는 것을 깨달았습니다. 그리고 또한 저의 가족에게도 감사의 말씀을 전하고 싶습니다: 저를 위해서 항상 기도해 주시는 엄마, 저랑 함께 선교에 가주신 아빠, 그리고 저랑 항상 함께 했던 동생. 매번 시간을 내서 선교 훈련에 데려다 주시고 지치지 않게 힘을 주셔서 감사합니다. 항상 저를 위해서 기도해주시는걸 당연하게 생각했었는데 이제는 그러한 기도가 이번 선교에 얼마나 큰 도움을 주었는지 알수 있습니다. 마지막으로 이번 선교를 통해서 항상 저와 함께 해주셨던 하나님께 감사드립니다. 그분은 항상 저의 마음을 어루만져 주셨고 저의 삶을 영원히 바꿔 주셨습니다. 저는 이번 페루 단기 선교를 영원히 잊을수 없고 다음 선교에도 함께 할수 있기를 바랍니다. 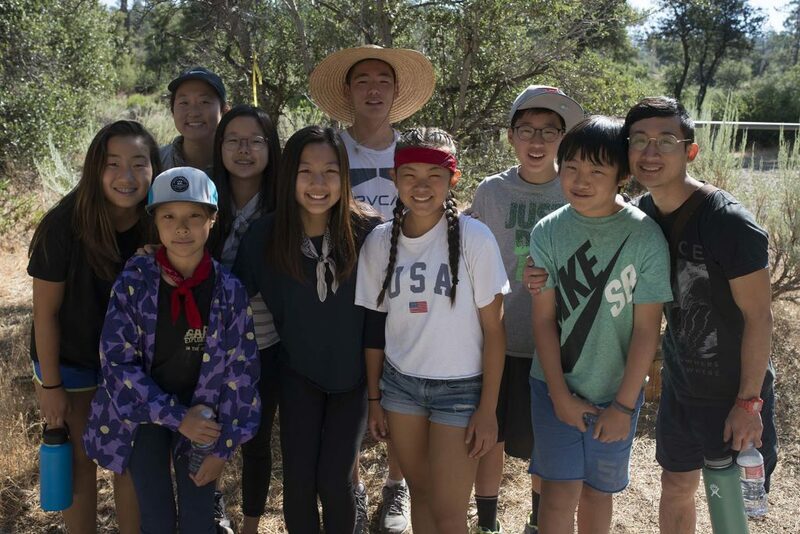 Hello my name is Sam Kim and I went to this years summer short mission trip to Peru. As an 8th grader going into high school I was blessed to be one of the 50 members on the mission team. However as our leaders always say, senders and goers are both equally important roles in the mission. So I hope that I will be able to share my many blessings from mission with you today. Our mission to Peru actually did not start on July 1. The journey began three months before, during our training. Our schedule would vary but on Saturdays, we would start off with a time of prayer for 30 minutes. In the beginning I didn’t understand why we had to pray so much. But since I was going to mission, I tried to pray for 30 minutes. No bueno. I would pray for like 10 minutes top and then I would sit there and zone out. However from the QTs throughout mission training, God was telling me to build a stronger relationship with him. The only way to do that is by reading God’s word and praying. So with about a month and half left of mission training, I started to pray more and read Proverbs everyday with an extra chapter. After prayer we would usually do body worship and pantomime. When we started off in body worship, I looked like a preschooler who didn’t know the difference between his right and left hand. But with a lot of practice at home with my mom nagging at me, I slowly got better and better and Shackles and Can’t Live A Day. Also, as I said earlier, we practiced pantomime. I was actually a part of two pantomimes, the Gospel and the Tree Pantomime. In the beginning, I really disliked my roles from playing a gangster to an energetic and over-hyper character. I thought my roles were dumb and very embarrassing. I was eventually able to play these roles because of the change in mindset towards God. As we trained, I felt as if I was getting closer to God through QT. However, I believe that I was not excited to go evangelize, but rather excited to simply enjoy a trip to Peru. On July 2nd we reached Peru. On the bus ride to the Good People school, I was able to see the drastic economic change from inside Peru to the outskirts. When we got off the bus, I felt as if God had given me a wake up slap. There were kids lines up playing the drums, cheering, and holding up heart welcoming posters. That was when my heart and mindset towards mission completely changed. I started to look at this mission trip with the mindset of serving kids and not as a vacation. From this mission I learned so much from God. One of the first things God told me was that the role of a christian was to evangelize. I find sharing the gospel with others that don’t go to church very hard. Sometimes I feel as if God won’t use me because of my limited knowledge on the Gospel. But through QT and Pastor Lee I was able to see that God uses anyone. In QT we see Saul who helps persecute followers of Christ like Stephen. But with one encounter with Jesus, he is changed. Pastor Lee really helped me realize that even though I may not have as much gospel knowledge then others, I have other resources when it comes to sharing the word. At our first revival, Pastor Lee shared his testimony. Just through his amazing stories of God working in his life, he brought many of us to tears. Although my testimony and stories aren’t as amazing as Pastor Lee’s, God can still use my testimony. Another point I received from my time at Peru was to be grateful for everything I have. In Peru I was able to see what kind of living conditions the kids were living in. Even though they had so little, I saw how grateful and happy they were. An example of this comes from what I talked about earlier. As they waited to greet us, I saw how thankful they were for us coming to Peru for them. Their smiles were genuine and I can see that they were cheering with a happy spirit. Just by seeing how thankful they were throughout VBS it brought me close to tears. God showed me my true selfish and ungrateful heart for everything. As I watched them happily do crafts and games, I kept asking myself, how could they be so happy with what little they have? The only possible answer was God. I then really started to have a self reflection. Do I have this much joy learning and bonding with peers through God? I realized that i find way more satisfaction in worldly things then in the gospel. But even with the worldly things, I complain. I always ask for more. This helped me to see that the kids in Peru are grateful because they look at what they have and not what they want. And like the kids in Peru, Jesus should really be the only thing we need in this world. The final point I got from mission was that I should be willing to sacrifice anything for the word. In the book of Acts, we see amazing advocates for Christ like Stephen, Paul, and Peter. Stephen was stoned to death, Paul was beheaded, and Peter was hung on a cross upside down. It is very unlikely, that this will happen to me but am I willing to spread the word of the Lord knowing that there could be bad consequences? Am I willing to be humiliated, embarrassed, and striped of any pride for God? As I stated early, I was very ungrateful for my roles in the pantomime. I realized that if it is for the word of God any kind of embarrassment is worth it. As Pastor David said, that is the exact kind of mindset Stephen had when he was stoned. He probably thought, If this will help spread the word of God, it’s Worth It. Now my life is not in any kind of danger, so I should be willing to evangelize even if it means getting laughed at or even losing friends. I was so blessed to be able to go to mission this year. But just because I am back in California doesn’t mean that my mission is over. Coming back from Peru, I have made many determinations. One is to be always thankful for everything from as small as a simple meal to the biggest things like an amazing family. Another determination is to keep my relationship with God healthy by doing QT and praying to God for at least 15 minutes everyday. I’m also determined to share my time at mission with others as a way to evangelize and as a way to build relationships with others through God. My final determination is to get baptized by the end of this year. I am blessed to share my testimony and thank you for listening. 안녕하세요. 저는 이번 페루 여름 단기선교에 다녀온 쌤 입니다. 8학년을 마치고 고등학교 입학을 앞두고 50명의 선교팀과 함께 할수 있음이 축복이였습니다. 하지만 리더들 께서 늘 말해왔듯이 선교는 보내는 자나 가는자가 모두 똑같이 중요한것을 느낍니다. 오늘 저는 선교중 받은 많은 축복의 간증들을 함께 나누고 싶습니다. 저희 페루 미션팀은 7월 1일날부터 시작된것이 아닙니다. 이번 미션의 시작은 약 3개월 전 선교 훈련을 시작하면서 부터 였습니다. 스케줄은 좀 달랐지만 매주 토요일에 모였고 시작할때 30분씩 기도하는 시간이 있었습니다. 처음에는 왜 그렇게 오랫동안 기도를 해야하는지 이해가 가지 않았습니다. 그러나 선교를 가야하기에 30분 동안 기도하려고 노력했지만 결국은 10분정도 기도하고 난후 가만히 앉아 멍하게 있기도 했었습니다. 그러나 선교 훈련 동안 큐티를 통해 하나님께서는 나와 하나님과의 관계를 더 강하게 해 주셨습니다. 그러기 위해 하나님의 말씀을 읽고 기도하는 길 밖에는 없다는걸 깨달았습니다. 선교를 떠나기 약 한달 반 정도 전부터 저는 기도를 더 하기 시작했고 매일 잠언과 성경 한장씩을 더 읽기 시작했습니다. 미션팀은 삼십분 기도를 하고 나면 바디워쉽과 판토마임 준비를 하였습니다. 제가 처음에 바디워쉽을 시작했을때는 마치 유아반 아이가 오른쪽과 왼쪽을 모르는것 처럼 참 잘 못했었습니다. 그런데 엄마의 ‘잔소리’ 덕분에 집에서도 연습을 하였고 Can’t live a day 와 Shackles 바디워쉽이 점차 나아지기 시작했습니다. 조금전에도 나눴듯이, 저는 판토마임도 했습니다. 저는 두개의 판토마임을 하였습니다, 한가지는 복음 (Gospel) 판토마임과 다른 한가지는 나무(Tree) 판토마임 이였습니다. 처음에 시작할때는 저는 제가 맡은 역활, 깡패 그리고 에너지 넘치는 투덜대는 역할이 별로 좋지 않았습니다. 제가 맡은 역활들이 바보같아보였고 많이 창피하다고 생각했었습니다. 그런데 그런 저의 마음을 연습하면서 하나님께서는 그 마음을 점차 바꿔 주셨습니다. 훈련하듯이 저는 큐티를 통해 하나님과 가까워 짐을 느꼈습니다. 그럼에도 주님의 복음을 전하러 간다는것 보다 페루에 여행을 간다는 기분으로 그저 좋았습니다. 7월 2일 저희는 드디어 페루에 도착했습니다. 버스가 굳피플 학교에 도착하였을때, 페루의 급격한 경제적 변화를 볼수 있었습니다. 제가 버스 에서 내렸을때, 마치 하나님께서는 저를 잠에서 깨워주시는 듯 하였습니다. 그리고 거기엔 학교 학생들이 줄을 서서 드럼을 치고 환호하고 환영 포스터를 들고 저희를 맞아 주었습니다. 바로 그때 저의 페루 선교에 대한 마음이 완전히 바뀌게 되었습니다. 그때부터는 휴가로 놀러온것이 아니라 선교를 하러 왔다고 저의 마음가짐이 바뀌었습니다. 이번 선교를 통해 저는 하나님께 많은것을 배웠습니다. 그중 가장 첫째로 하나님께서는 크리스쳔의 역활은 전도 하는것이라고 깨닫게 하셨습니다. 저는 교회를 다니지 않는 사람들에게 전도 하는것이 참으로 힘들다고 생각했습니다. 그런데 큐티와 이종용 목사님의 말씀을 통해 저는 하나님께서는 그 누구라도 전도하는데 쓰신다는 것을 배웠습니다. 큐티에서 봤듯이 사울이 예수님을 전하던 스데반을 죽이는데 도왔습니다. 그런데 단 한번의 예수님과의 만남으로 그는 바울로 변했습니다. 제가 다른 사람보다 복음에 대한 지식이 부족할 지라도 또 다른 방법으로도 하나님의 복음을 전파 할수 있음을 목사님을 통해 제게 깨닫게 하셨습니다. 첫 부흥집회에서 목사님께서 간증을 나누셨고, 하나님께서 목사님의 삶에서 놀랍게 일하심을 들으며 저희 모두는 함께 울었습니다. 저의 간증은 비록 목사님처럼 대단하진 않지만, 하나님께서는 그래도 저를 사용할것을 믿게 되었습니다. 또 다른 페루에서 느낀점은 제가 갖은것에 더 감사해야 한다는것이였습니다. 페루 아이들이 어떤 환경에서 살고 있는지 제가 봤습니다. 그들은 정말 가진게 없어도, 그럼에도 얼마나 행복해 하는지를 보았습니다. 예를 들어 처음에 제가 나눴듯이 그 아이들이 우리를 환영해 줄때, 우리가 페루에 오는것만으로도 그들은 그렇게 감사하며 기뻐했습니다. 그들의 웃음은 가식이 아닌 정말 마음에서 나오는 기쁨이였습니다. VBS를 하는 동안 너무 행복해 하는 아이들을 보며 눈물이 나왔습니다. 하나님께서는 저의 이기적이고 감사하지 못하는 모습을 보게 하셨습니다. 저는 그 아이들이 너무 행복해 하며 만들기를 할때 생각하며 제 자신에게 물었습니다. 어떻게 저렇게 작은것에 기뻐할수 있는거지? 그거에 대한 답은 오직 “하나님” 이였습니다. 그리고 저는 진심으로 나 자신을 돌아보는 시간을 가졌습니다. 나는 주님안에서 친구들과 배우고 교제할때 이런 기쁨을 누렸나? 그리고 나는 복음보다 세상것에 더 만족하고 즐거워 했다는것을 깨달았습니다. 그리고 세상것에 더해져 저는 늘 불평했었습니다. 또 늘 무언가를 더 원했습니다. 그리고 전 깨달았습니다. 페루 아이들은 무엇을 원하는가를 생각하지않고 현재 갖고 있는것에 감사를 한다는 것입니다. 그런 아이들 처럼, 우리에게는 오직 예수님만이 꼭 필요하다는것을 알아야 합니다. 물론 지금 제 목숨이 위험하진 않습니다, 그러나 어떤 창피를 당해도.. 아니면 가까운 친구를 잃게 되더라도 전 복음을 전하고 싶습니다. 이번 페루 선교에 함께 다녀올수 있어서 저에겐 축복이였습니다. 제가 다시 캘리 포니아로 돌아왔다고 해서 저의 미션이 끝났다고 생각하지 않습니다. 제가 페루에서 돌아오면서 저는 많은 결단을 하였습니다. 제가 갖은 작은것 부터, (간단한 식사) 그리고 또 크게는 주님 주신 아름다운 가족까지도 매사에 항상 감사할것입니다. 또 다른 결단은 매일 큐티하고 하루에 적어도 15분씩 기도하며 하나님과의 관계를 건강하게 이어나가고 싶습니다. 그리고 또 페루 단기선교에서 배우고 느낀것을 친구들과 나누며 그것을 통해 복음을 전하며 그들이 하나님께로 갈수 있는 도구가 되길 원합니다. 저의 마지막 결단은 올해가 가기전에 침례를 받고 싶습니다. 저의 간증을 나누게 되어 감사하며, 들어주셔서 감사합니다. 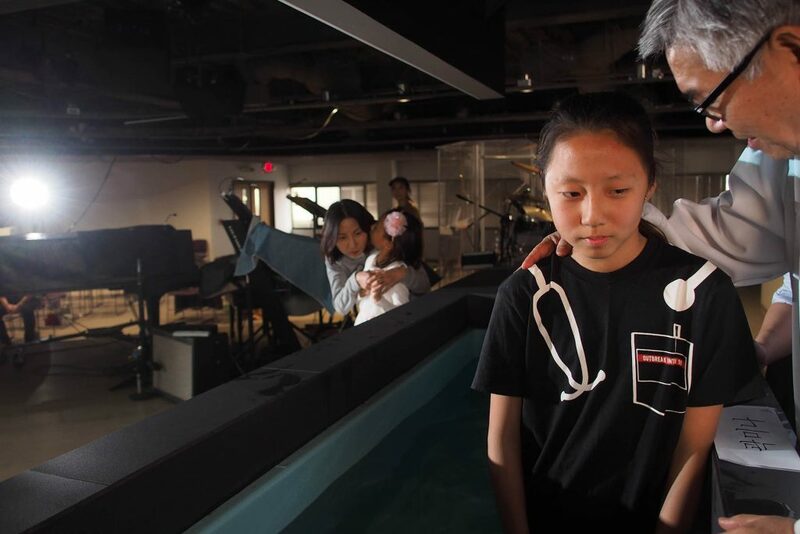 The Junior high baptism was a time of great blessing from God. 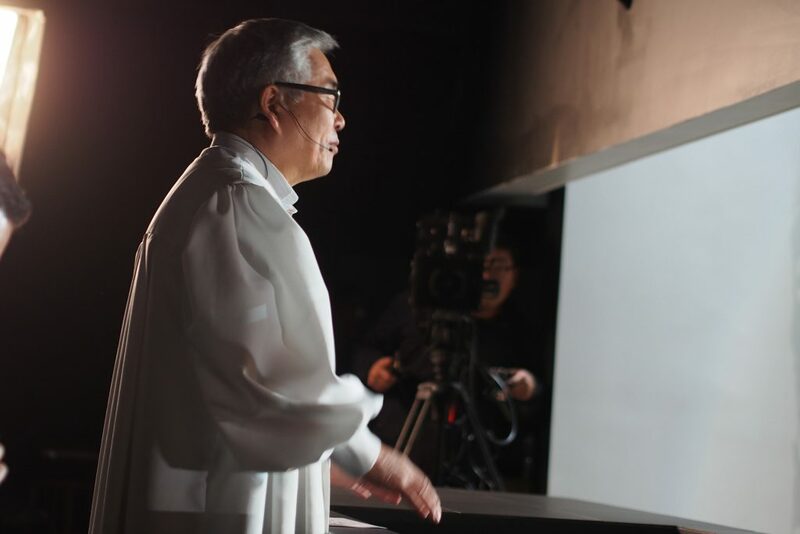 I felt the presence of the Holy Spirit working within the congregation not only to rejoice and bless the students, but also to reflect on my own spiritual life. I was deeply challenged and blessed by their acts of obedience to our Heavenly Father and the determinations that were made. I truly believe and pray that these students will live a life of a disciple and work to expand His kingdom, each in their own special way. God bless you! 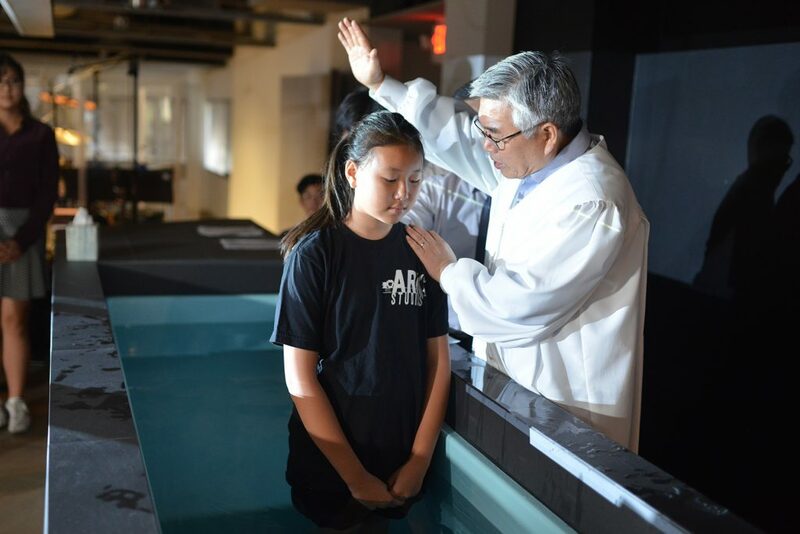 This year’s Junior High Baptism was a great blessing for me as well as a time of deep reflection. As I heard the students’ testimonies and as I saw them go under the water, I was reminded that this could only be done by the working of the Holy Spirit. Though the parents, teachers, and fellow peers may have played a part, ultimately, only God could make the seeds of the Gospel that were planted to grow and to produce fruit. As I reflected on this, I saw how beautiful and how significant baptism was to a believer’s life and I was all the more blessed. 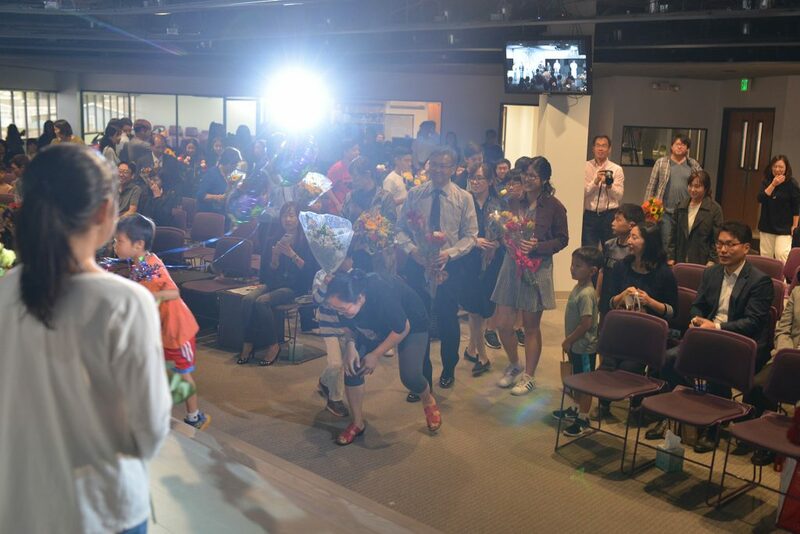 As always, I am thankful for Pastor Lee, Samonim, and all the leaders who pour out their love through prayers. I’m also thankful for the Junior High staff who work hard to expand the Kingdom of God. I hope and pray that whoever reads through this post would be challenged and reflect on how great our God is. Hello, my name is Joshua Lee and I am currently in 6th grade. Since my parents were Christians, I have been going to church even before I was born, and I have been spending my Sundays like that for my whole life. I always came to church as a place to play and meet my friends, and I never really came for the Sunday worship. I had heard about the importance of coming to church, but I never really felt it for real in my mind. As I came into Jr. High, I got to know God more but had more questions about him. Last winter, on the Jr. High retreat, our cabin leader had told us how they had felt when they first met God. I had never had that feeling before, so I wondered what it must have felt like. During the praise night, everybody felt like they were really praising from their hearts, and I felt like an outcast. But when we were worshipping, I had a feeling, as if God had taken away my worries, and let me feel like I belong. After the retreat, everything came back to normal. I had so much things to do, but I was very tired. I wanted to complain about it, but I realized that I shouldn’t be having a bad attitude but rather be thankful for all of this, because I was sinful like that before I was saved. But God forgave me and let me be with him. I am sure that I can go to heaven because the Bible says that if believe that God has died for me, then I will be saved and go to Heaven. This encourages me to work harder to learn more about God. This is why I am getting baptized to show that I am a person of God. But since I cannot do this myself, I must pray to God and do QT more often. Hello, my name is Su-A Kim. I first became a Christian in November 2016. I just assumed that I was a Christian because I was born in a Christian family, I went to church, and did Q.T. In doing all these things, I tricked myself into thinking I was a Christian. But all of these things nor can anyone save me. I was a sinner whom could not save herself, but only through Jesus was I able to be saved. The night I got saved, I accepted this stone-hard truth. The stone-hard truth was, Jesus died on the cross for my sins and he rose again in three days victoriously. I could not have saved myself, but because God sacrificed his one and only son to die on the cross for me, I was able to believe and be spared of the horrible punishment awaiting me. On that day, I asked my dad a question about the Q.T. The question was, “I get how Jesus died on the cross, but I don’t quite get how he resurrected in 3 days.” My dad explained why Jesus died on the cross and how he resurrected in 3 days. After, I finished my Q.T and I thought that was it. Gladly, it wasn’t. My dad and mom kept explaining to me about how God created the world and the heavens in 7 days and how and why Jesus died for my sins. My dad kept lecturing me for days and weeks. This precious information would go through one ear and come out the other. I was half-listening, half-ignoring whatever my dad was talking about. I did this to the point where my dad realized I was not even listening. My dad told me that I already believed in Jesus and that I needed to let everything go and give my all to God. He also told me that Jesus is a very kind savior and how he loves us very much. Next, my dad said, “Follow my exact words if you believe that Jesus is your savior.” I was praying the sinner’s prayer. After I prayed, I cried and laughed with joy now that I was a Christian. Two years have gone by since I prayed the sinner’s prayer. As I lived the 2 years of being a Christian, my life had plenty of ups and downs. But because I was a Christian, God helped me pull through. I would never be able to save myself no matter how many times I would try. Believing that Jesus died on the cross for my sins and resurrected was the only way I could be saved. During 2017 Jr. High Winter Retreat, I felt God’s presence around and inside me. I believe the retreat was one of my climax points in my spiritual life. Jesus is my savior who will always be there when I need him. As I go on to live my new life, I will try to spread the gospel with even more non-believing friends. And yes, even if I died today, I am 100% sure that I will go to heaven. I thank God for letting me become a daughter of Christ and how he helped me be here on this very day. Hello, my name is Mina. When I first went to church, I went because my family and friends went, and I wanted to play with my friends. All my friends said that Jesus died on the cross, so I said so too because I didn’t want to be left out. But, in the 4th grade VBS, I understood who God was in my heart. During Pastor David’s message at the end of VBS, I had a time to think about why I hadn’t accepted God as my Lord and Savior. I realized that God was my one and only Lord and Savior. At the end of the day when we all just had a time to pray, I accepted Christ as my Lord and savior. I declared that my faith would not waver in God and accepted the gospel message, the great gift of salvation from God. But, when my teachers asked if I wanted to be baptized, I responded in excuses. I was scared to say my testimony in front of an audience. When Winter Retreat came, my life was changed when the teachers all said that whoever was saved shall walk in obedience in God, and the first act of obedience for a saved Christian is to get baptized. I decided that I would be a Christian that follows God through any obstacle or hardship. I am determined to spread the gospel to all my non-Christian friends and family and try to do QT every day because that’s what pleases God. I am very thankful for the precious life that God has given me. So, I’m here today, to declare my new life and become a Christian that follows God and spreads the gospel, until he comes. Hello, my name is Daniel Kwak and I’m in the 6th grade. I regret that I did not get baptized in the new tub after renovation. But I am still happy. I was born in a Christian family, so I have gone to church at least 3 times each week. I did not remember but I received an infant baptism after 3 months I was born. Naturally, there was a lot of Christian friends and teachers around me. It was natural for me to go to church, every time I went to church it was very exciting. I never worried about why I was a Christian. I grew up in Cornerstone Church and I saw my mom and other church members getting baptized. Even junior high and high school department…I had an indefinite plan about being baptized in my future. I told myself, “Now is not the time. 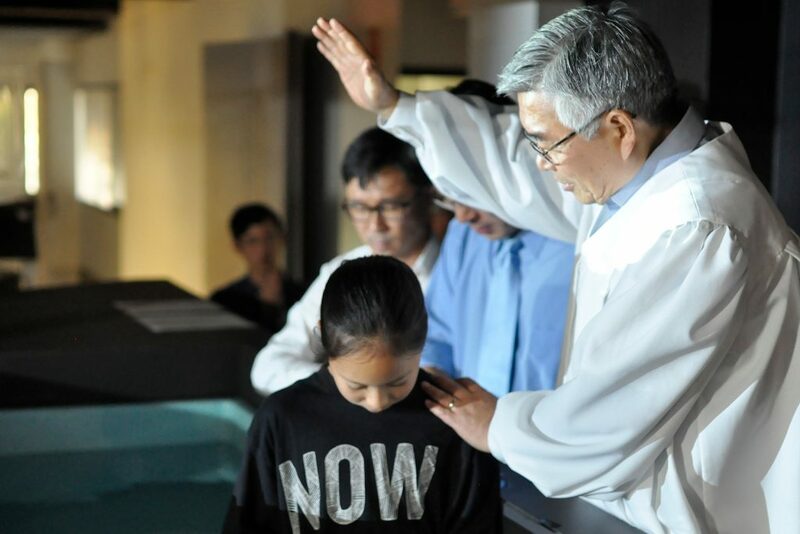 Now is not my time.” Because I was too unconfident and anxious to get baptized in front of a lot of eyes looking at me. But, God came to me when I was in 2017 VBS. He changed my life and I wanted to know him better. He made me know what was wrong. In pastor David’s final message, I declared that I wanted to have more faith in GOD. And I realized that it was not natural I believe God and I go to the church. I had to accept the Christ is the Lord and my savior. And then, in 2017 Winter retreat I got confidence to get baptized. At Winter retreat, it was a blessing. I had fun, I prayed for my longest and worshiped the Lord the best I can. I stood up in VBS and Winter retreat because I wanted to get baptized. 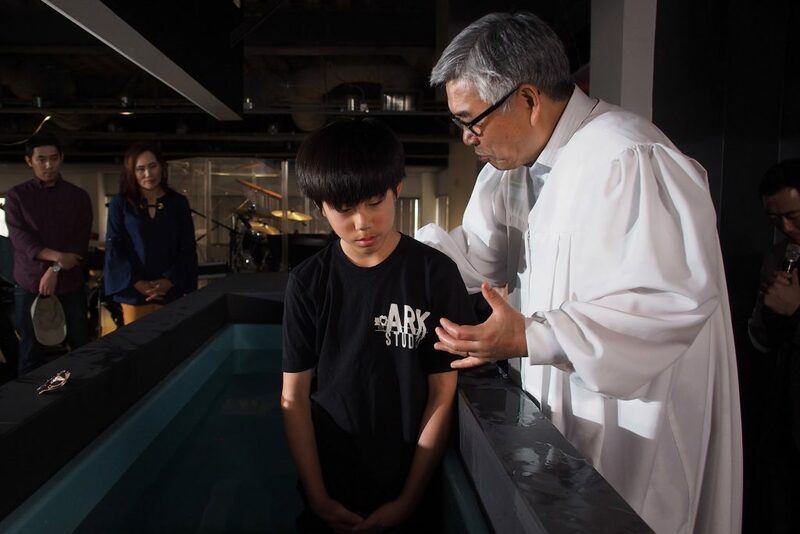 I wanted to get baptized because in teacher Jiho’s class I had learned that I had to get baptized when I first accept Christ. Because it was the first act of obedience. I realized how sinful my life was. I wanted to change through Jesus. I declare today to live as God’s man. It was difficult to express my feelings and happiness when I was writing this testimony all through. But now I know that it is the greatest of all Christian blessings. I thank that God made me and send me to this land and allow me to get baptized today. “So whether you eat or drink or whatever you do, do it all for the glory of God.” (Corinthians 10:31) If someone asks to me about that verse, “yes” I will. I will try to do, I will start a war with myself. I promise following this. I will try to do QT every day and go to “새벽기도” every Saturday. I will practice praise team faithfully. I will live in God’s glory in my school, house, and with my friends. So, I will live as a man of God. Before I truly met Jesus, I was only going to church because it was fun, and my friends went. I never really cared about the fellowship. I only wanted to have fun. But then as I got older, I realized church isn’t about fun. It’s about the fellowship with God. At past VBS’, I felt the Holy Spirit knock on my heart, but I never answered. 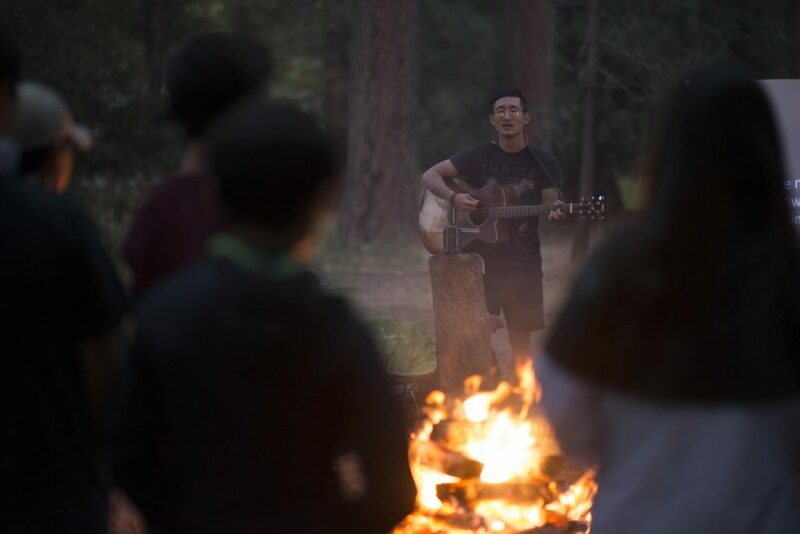 However, at the winter retreat, Pastor Sung was telling everyone to pray. While we prayed, he asked for the people that didn’t accept God to stand up. I had a feeling to just stand up and when I did, I felt the Holy Spirit knock on my heart. This time, I finally answered. As I grow more in God, my life will surely change. My first change, is to love everyone, no matter how different they may be. Another change, is to do more QT and prayer, so I can grow more and more in God. The last change, is to spread the gospel to all non- believers. Not only is my job to believe in God, but it is also to spread the word to all. 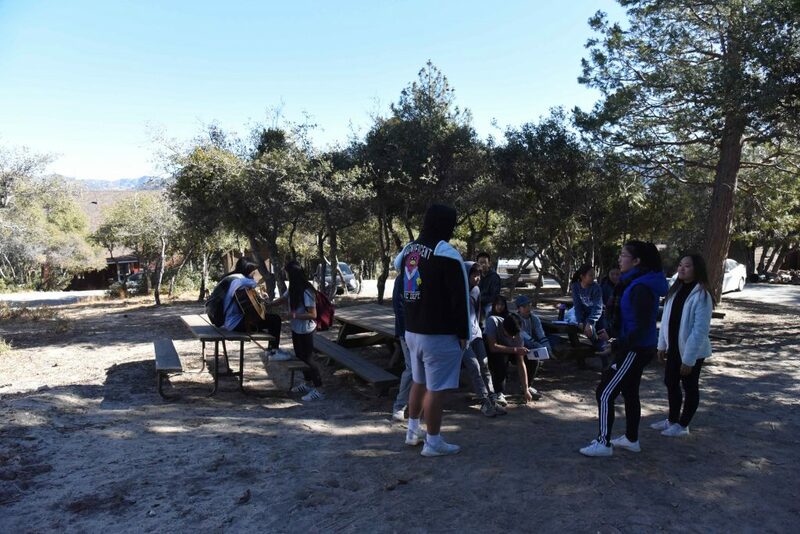 On December 28-30, 2017, Cornerstone Church’s Youth Group had a winter retreat at the Angeles Crest Christian Camp. 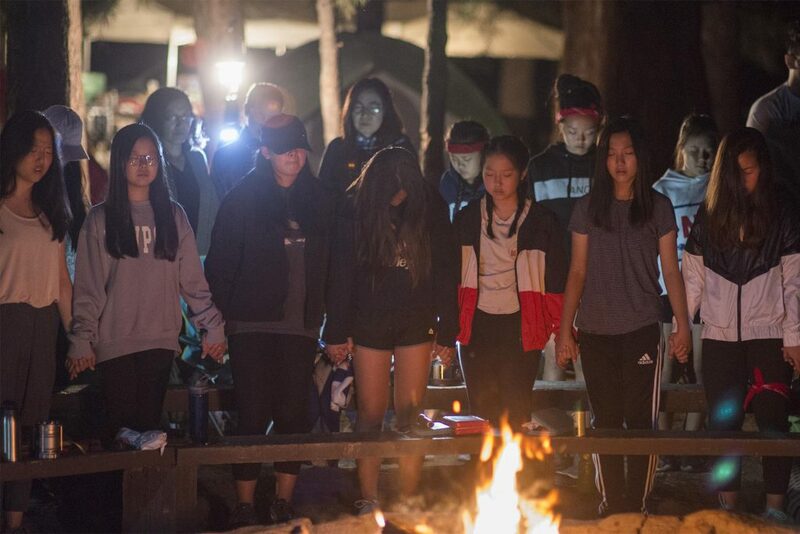 Our retreat theme, “Unshaken”, was based on Psalm 62:2 through which we learned how to have a faith that was not shaken by difficult circumstances we may encounter in life. 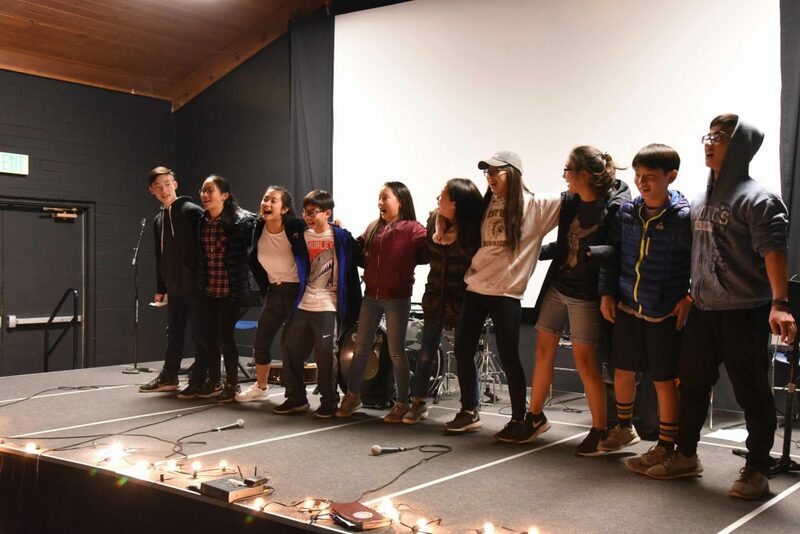 On the first night, the high school praise team led the congregation in passionate praise and many of the youth responded with hands held high and heads bowed in worship. 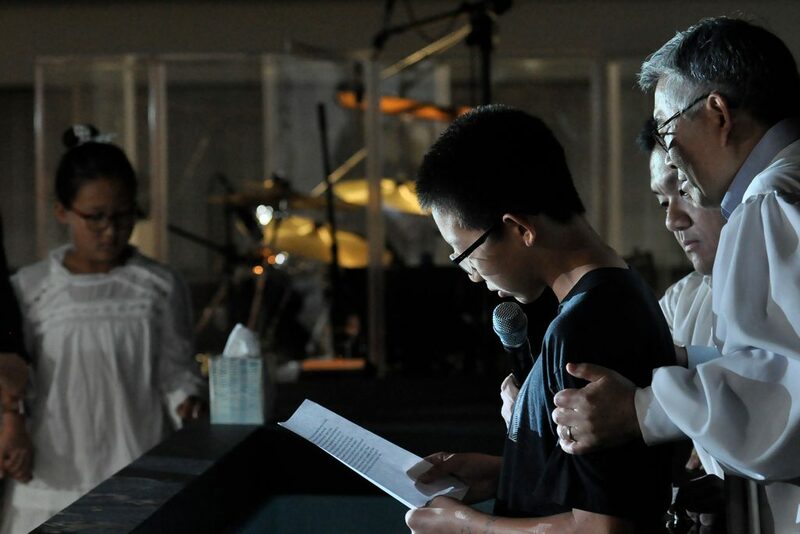 After the praise, Teacher Joshua gave the first night’s message from the book of Philippians and shared about Apostle Paul who was in a difficult circumstance, but did not allow for his circumstance to dictate his faith. The night ended in more prayer and a time of intimate sharing in smaller groups. 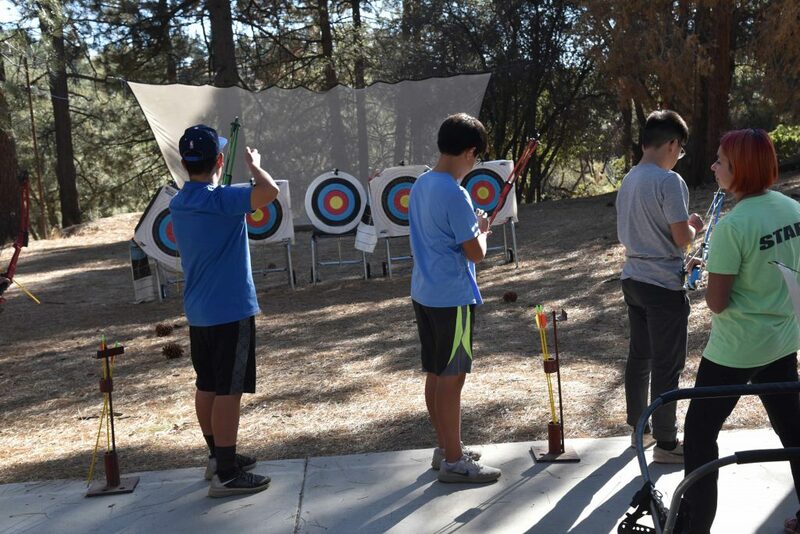 The next day was filled with many different activities including archery, volleyball, preparation for skit, and more importantly a seminar given by Teacher Minji. 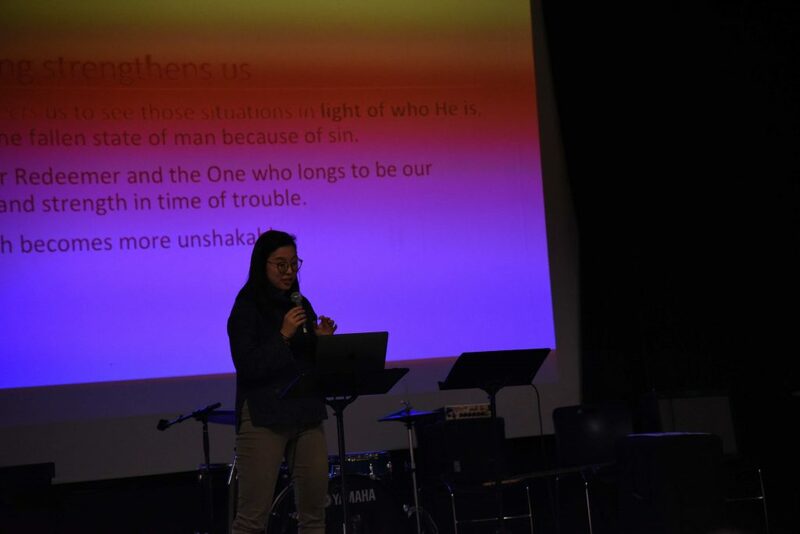 She shared some difficulties that students would encounter in life and how these things could shake our faith. Additionally, she shared her own powerful testimony on how she had overcome some of the difficulties placed in her life and how she learned to have an unshakable faith. At night, we enjoyed a time of great fellowship as each group presented the skits that they had prepared and there was much laughter. 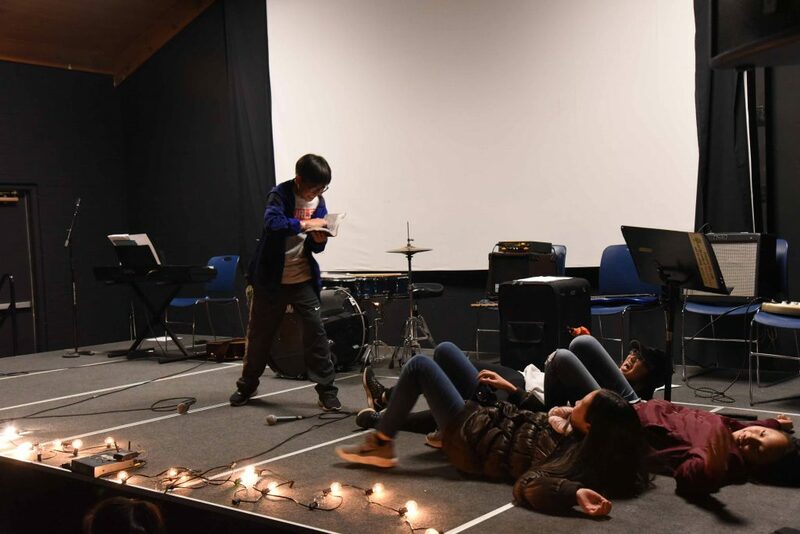 The teachers and judges were surprised at the level of creativity exhibited by each group and were excited at the prospect of future skit members. As the night continued, we had another night of passionate praise and Pastor Sung spoke from our theme verse, Psalm 62:2. He taught about how we were to put our trust in God alone and only then would He be our rock, salvation, and fortress through which we would not be shaken. The night ended with an altar call which led to two junior high students accepting Christ and the group prayed corporately over various prayer topics. Overall, we believe that the Holy Spirit moved mightily through every activity, praise, and message. We are so thankful that God used this retreat to speak to His people, and we are praying that God continues the good work that was started. Please join us in prayer over the students that they would continue to grow spiritually and desire to be more like God. 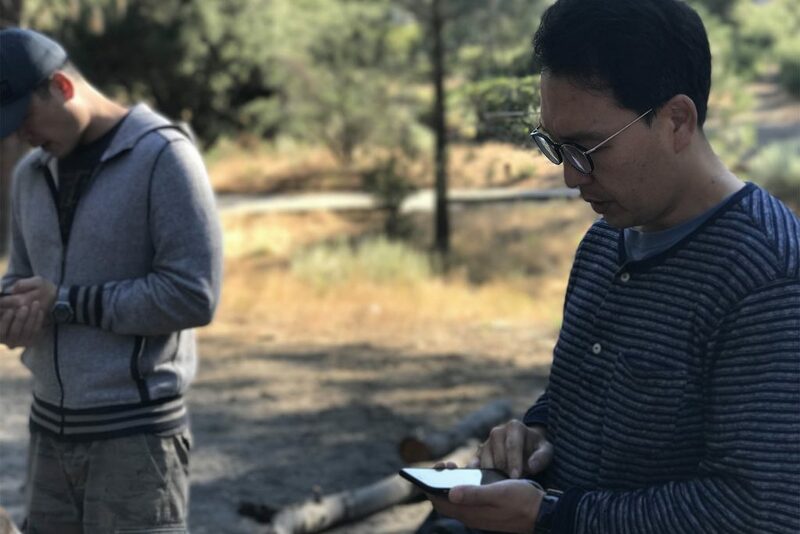 Additionally, we are thankful for all of the staff that helped at the retreat, Cornerstone Church, and for Pastor Lee and Samonim who supported us through prayer and love. 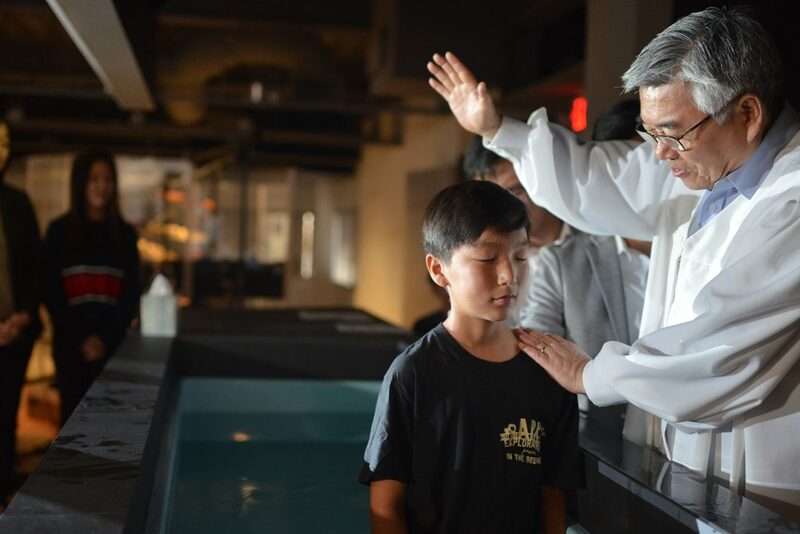 On October 27, 2017, seven of our junior high students received baptism in the newly renovated sanctuary. These seven students determined to be baptized after having been challenged by their junior high teachers, that those who were saved must walk in obedience to what scripture commanded and be baptized. 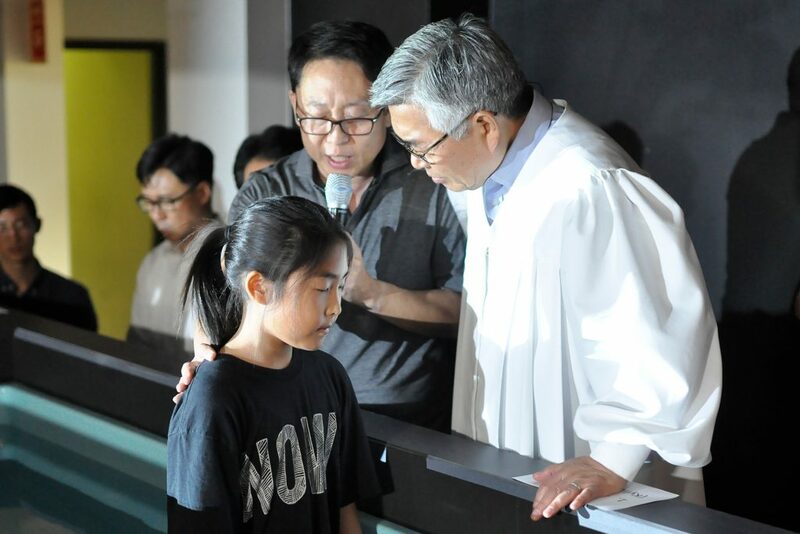 Those who had made the determination were talked to individually by the junior high staff and were guided through the process of receiving baptism which included assurance of salvation, preparation of testimony, and significance of baptism. 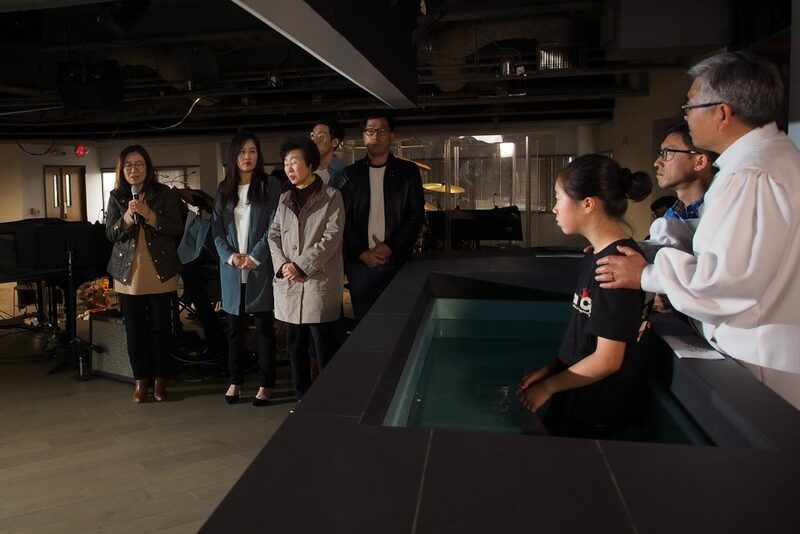 Once these things were established, the church staff set into motion preparations for the baptism and invited all our members to celebrate together. On the day of baptism, many of our church members gathered together in order to celebrate the public declaration of the students’ faith. It was a great time of rejoicing but also a time to reflect and to be challenged in our faith. We want to thank God for the gift of salvation that the seven students received and the blessing of baptism. 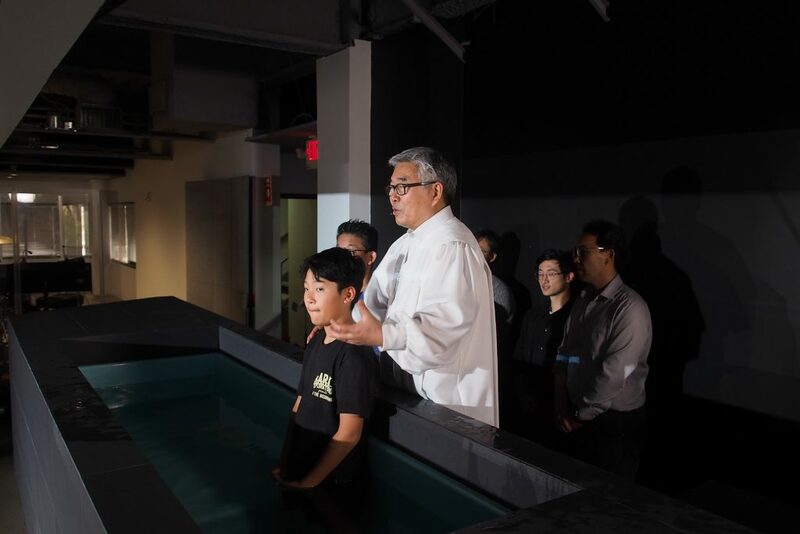 We also want to thank Pastor Lee and SMN for their prayer and guidance, and for leading the baptism ceremony. 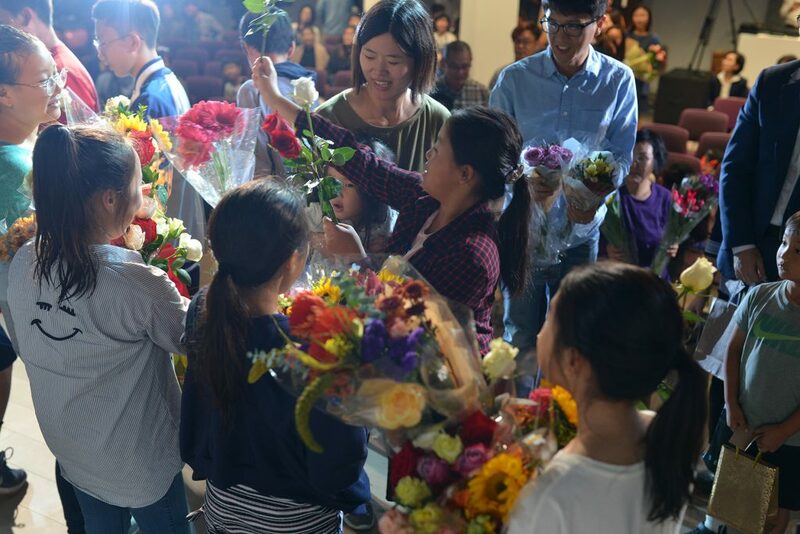 Additionally, we want to thank all the members of our church who came out to celebrate and for showing their support by bringing enough flowers to start a flower shop. 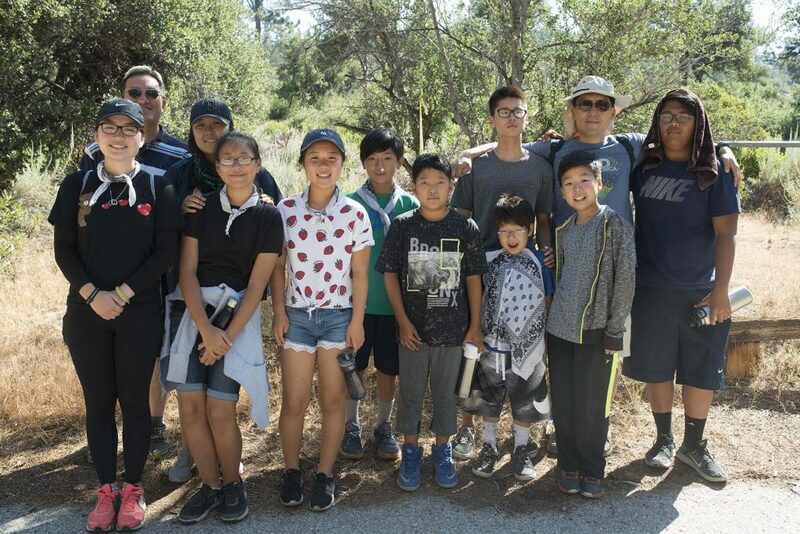 From August 4-5 our Cornerstone Youth Group went camping at the Bandido Camp Grounds nestled in the San Gabriel Mountains. With the theme of “Thirst,” based on Psalm 42, our prayer was for our group to draw closer together in Christ in worship and fellowship. Pastor Sung spoke on our need for God and how we must realize our thirst for Him. 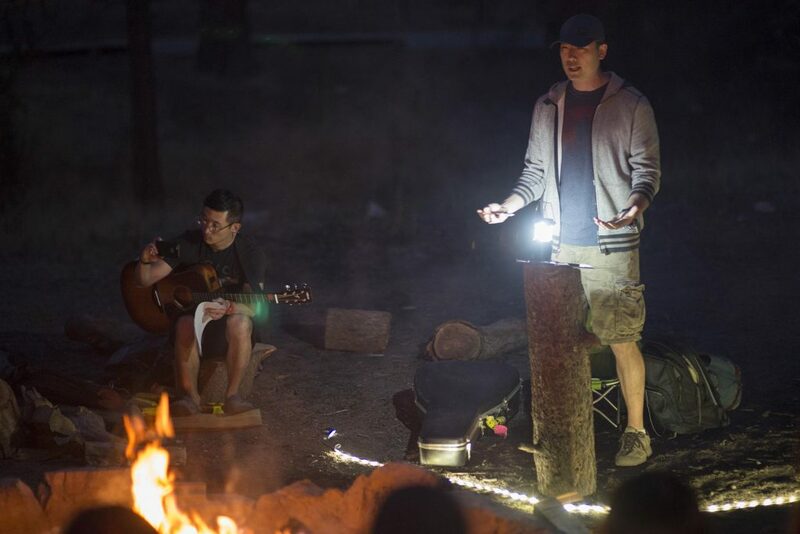 As Teacher Josh led many team building activities, both the sermon and activities spurred much conversation as we split up into small groups throughout the day. 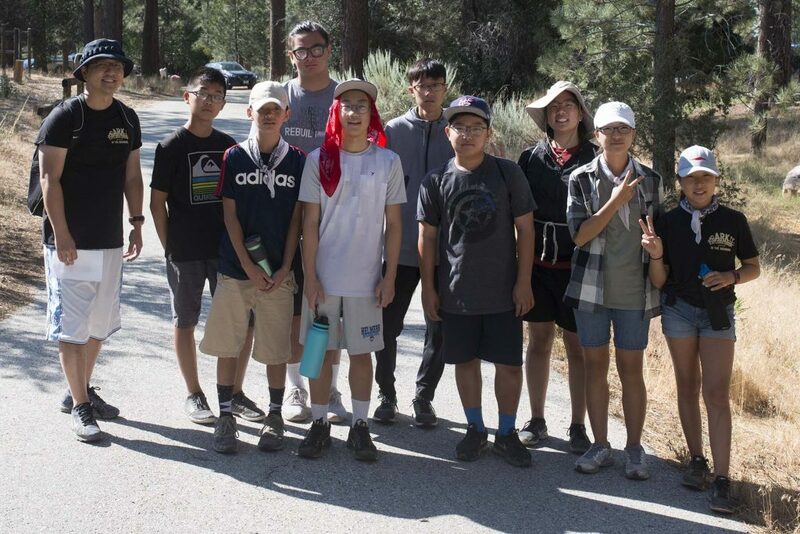 This camping was a great way for the newest members of our Jr High to get used to our group and retreats in general. 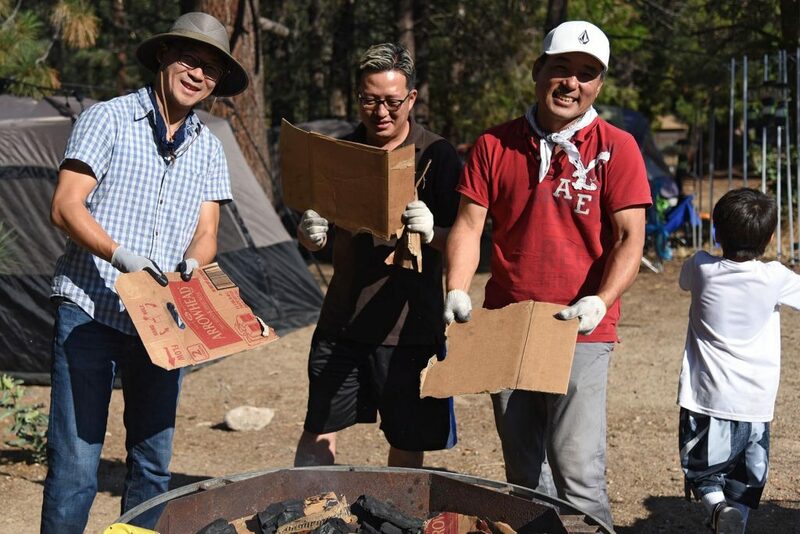 Through the help of brother Kwon and brother Richardson who came up to the campsite to serve our youth group, we unloaded the truck full of supplies including the tents and 50 gallons of water. While the students were engaged in ice breaking activities, our two brothers including the teachers set up the tents in quick order. 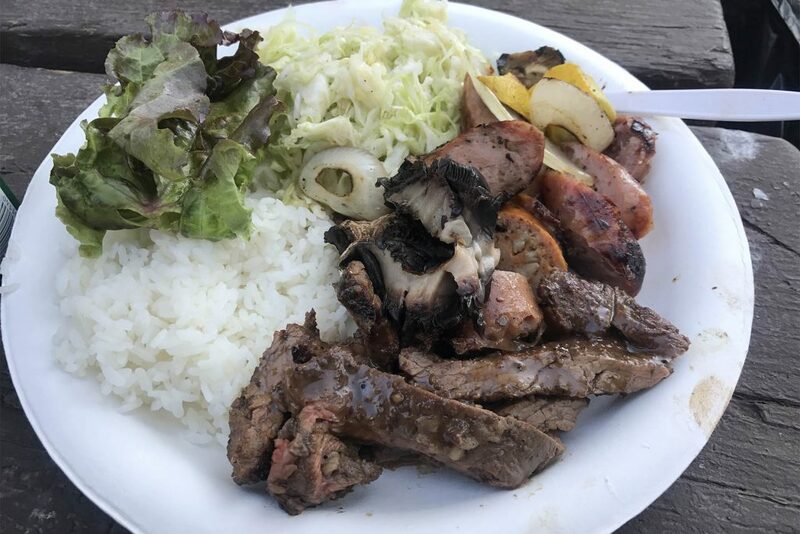 They also grilled the meat marinated by samonim and Esther 집사님 the day before. We enjoyed a hearty meal that became one of the highlights of the retreat. 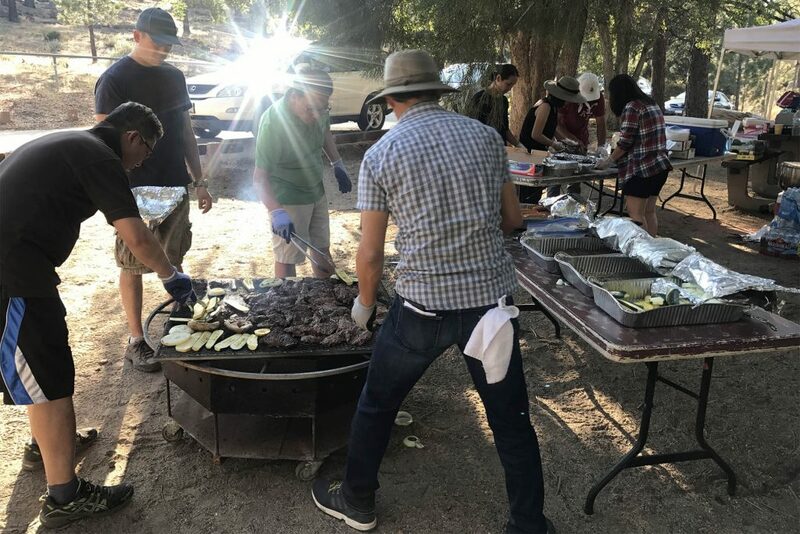 The teachers served faithfully in the background through leading small groups, making sure that the food was ready and that the students learned to recycle. 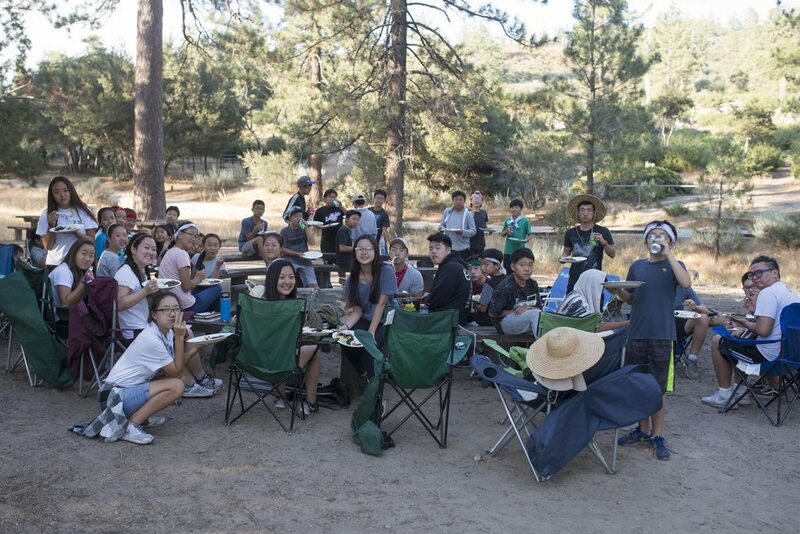 We thank God for the fellowship, worship, great food, and the bonds that were formed during this camping trip. 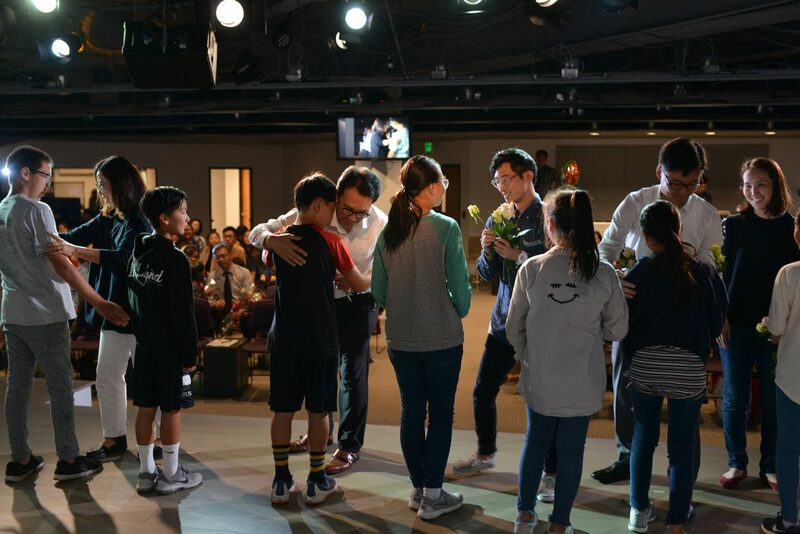 We thank Pastor Sung for speaking to us an important message on “Thirst,” for teacher Josh leading all the activities, for all the teachers who served faithfully, and a special thank you to our two brothers who we couldn’t do without. We thank our church and mokasnim and samonim for their support and prayer. We look forward to our next retreat!